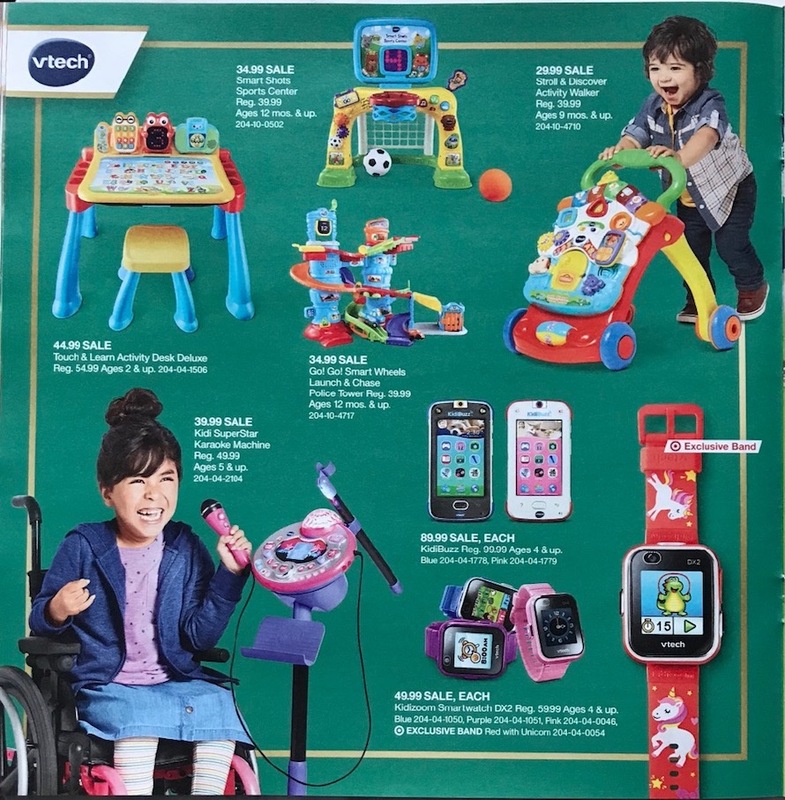 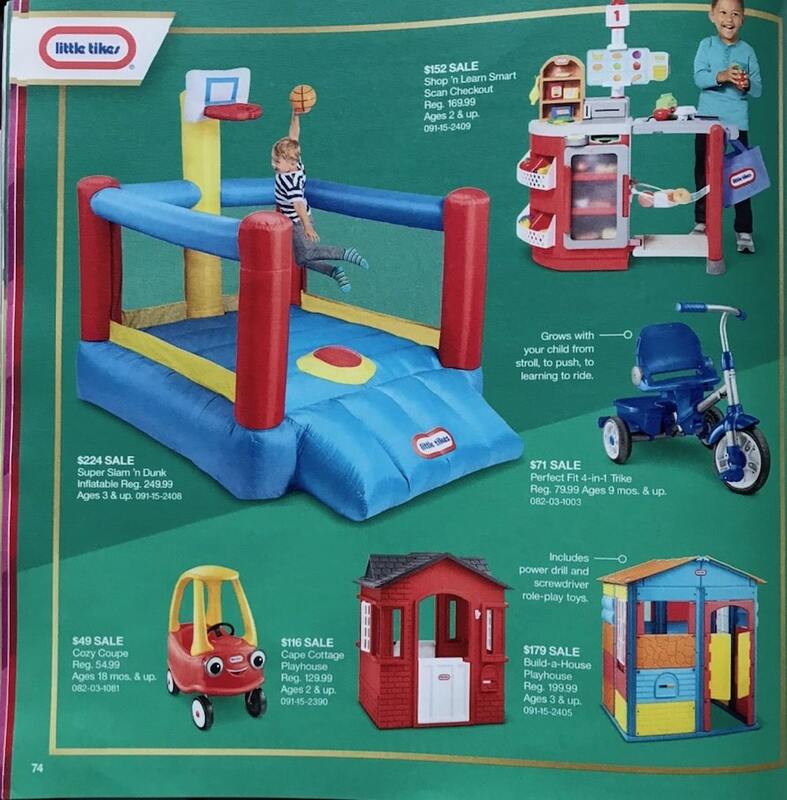 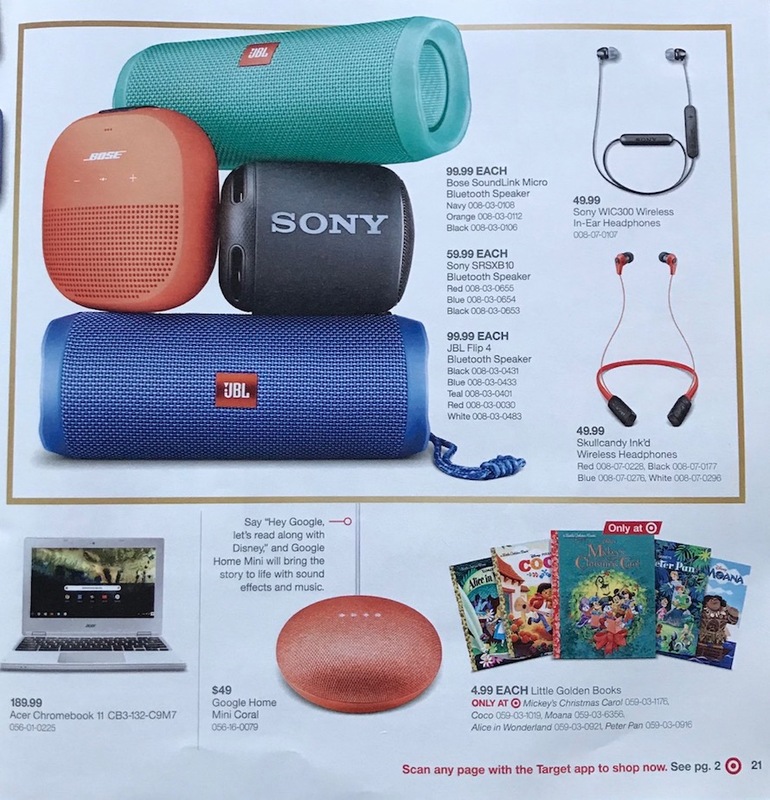 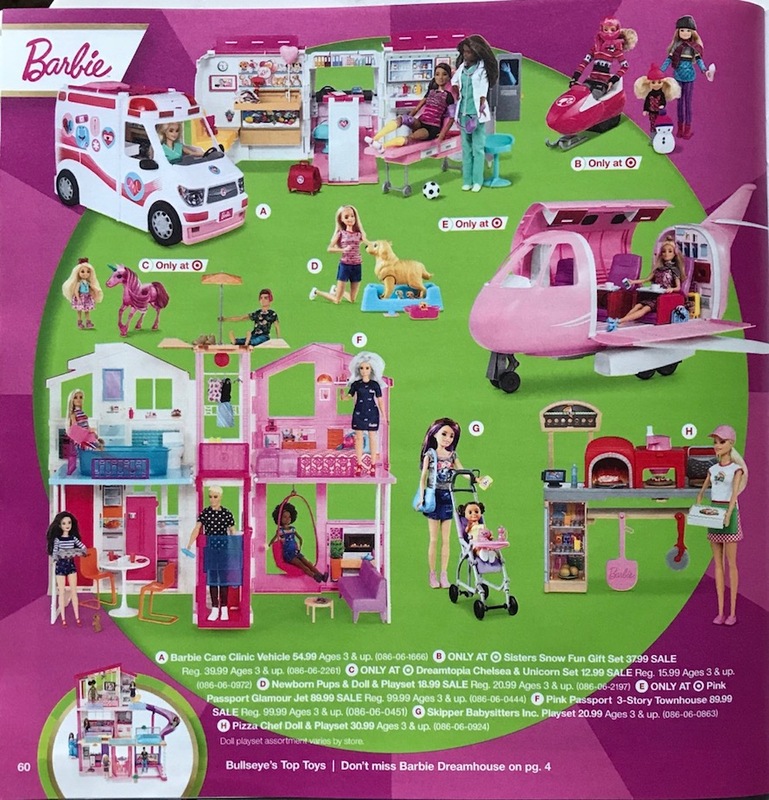 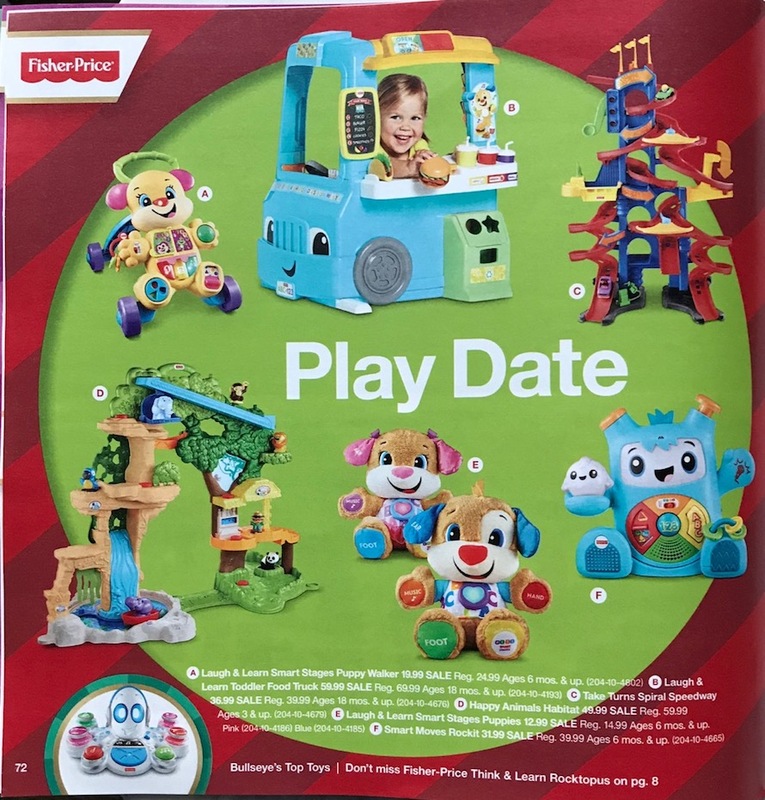 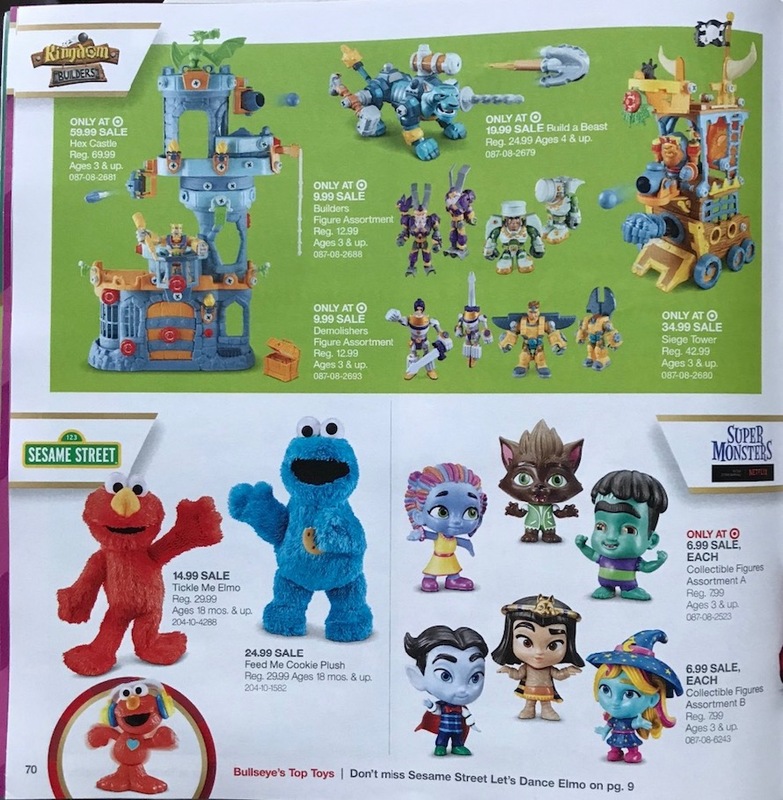 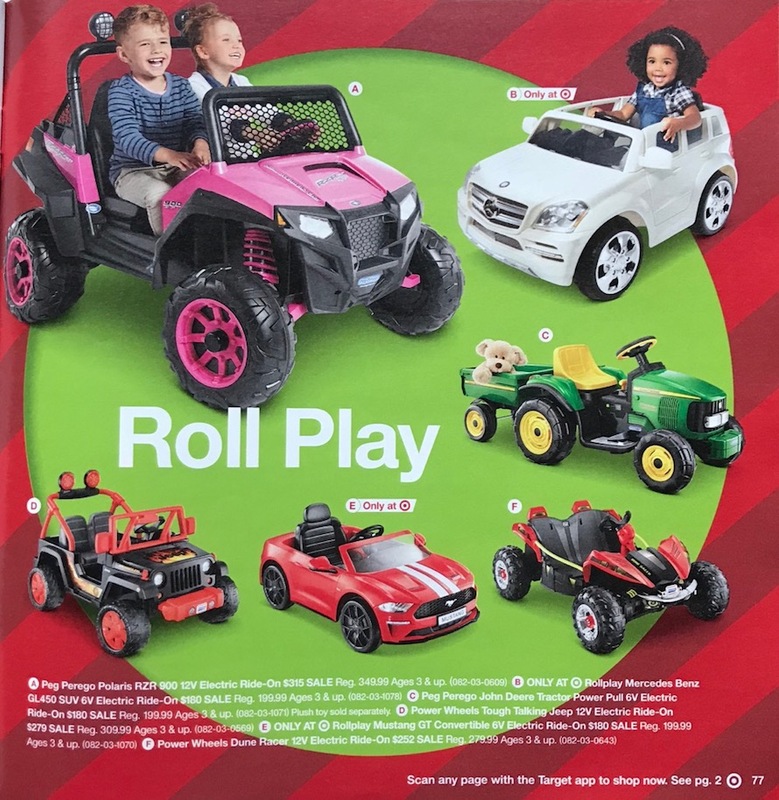 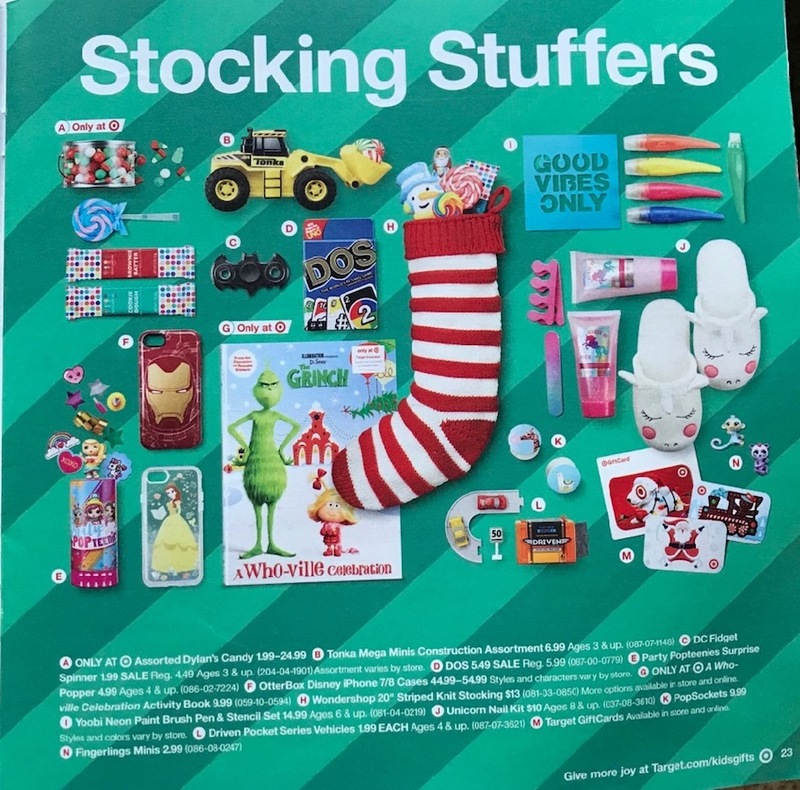 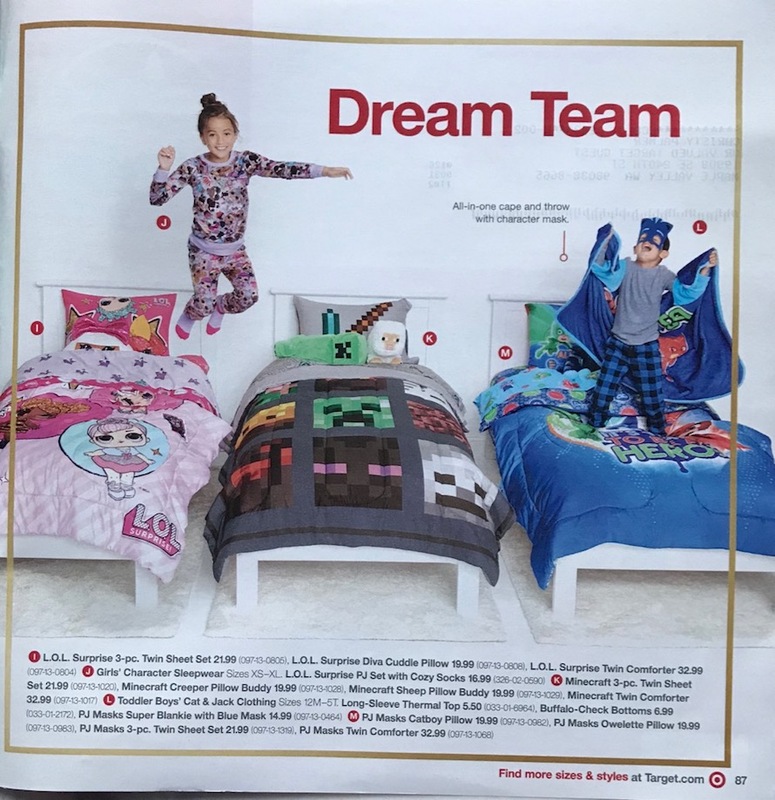 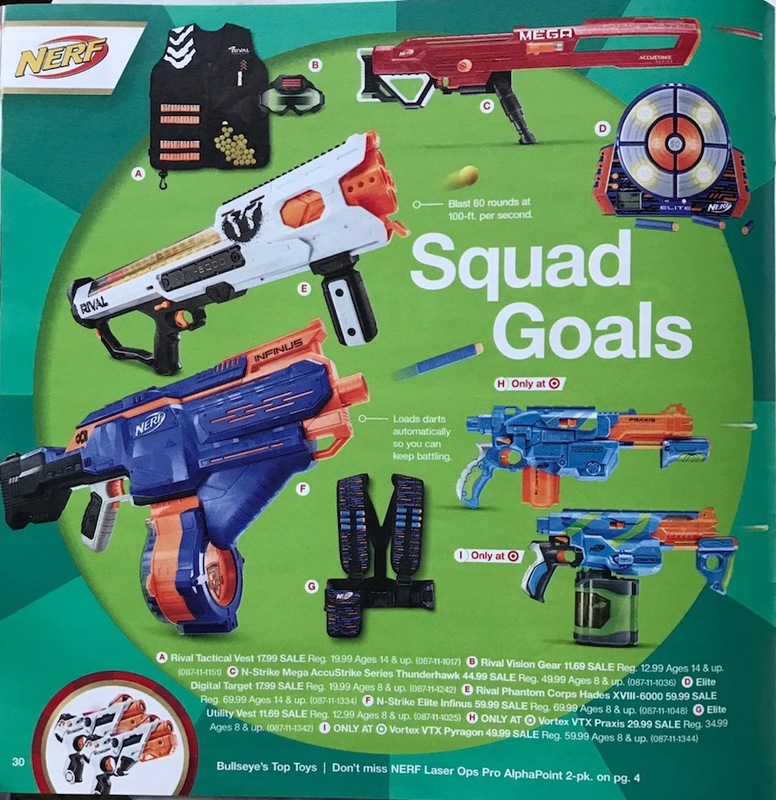 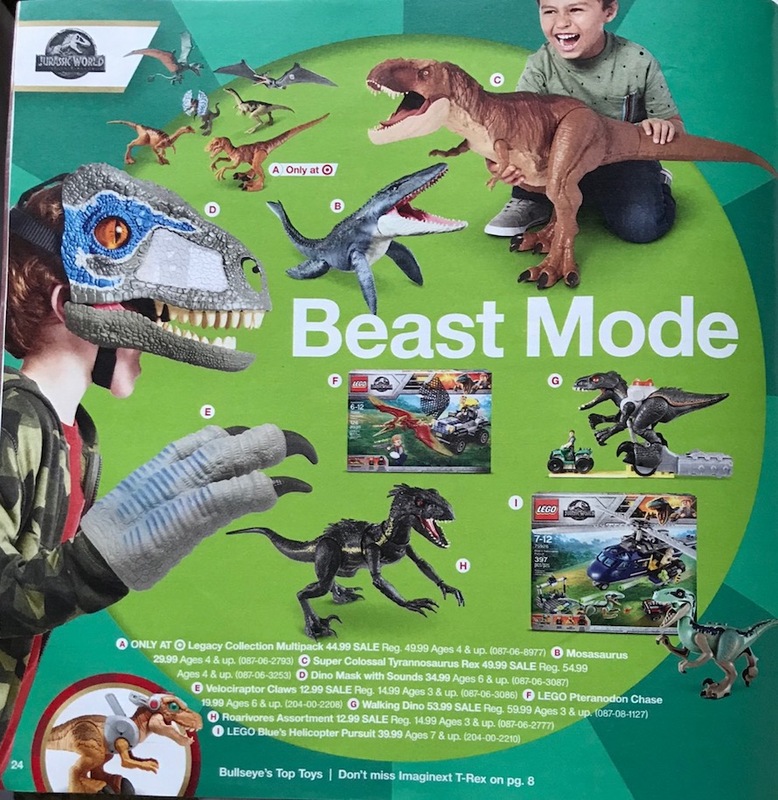 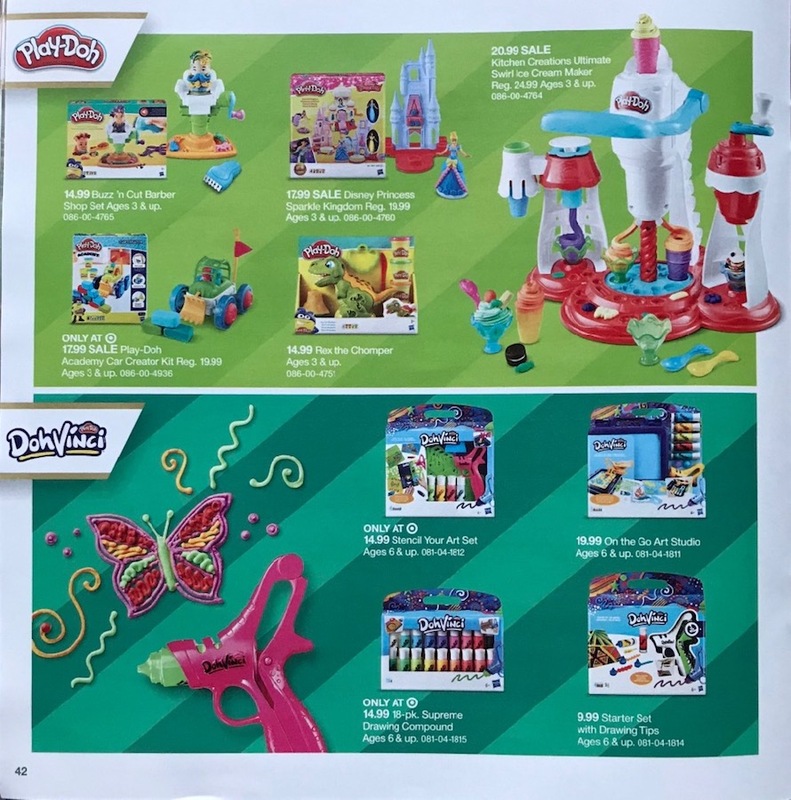 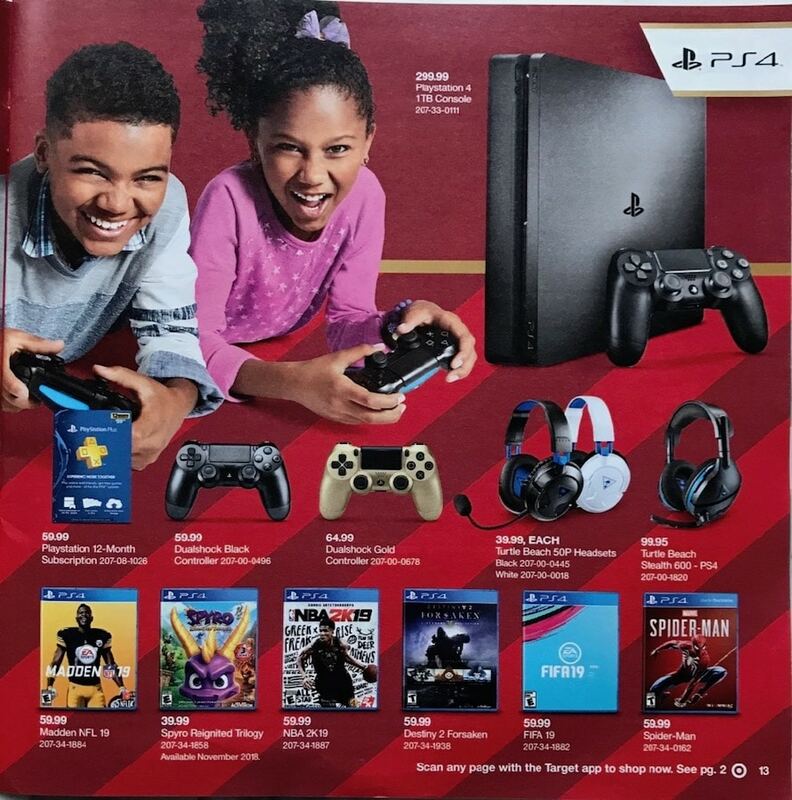 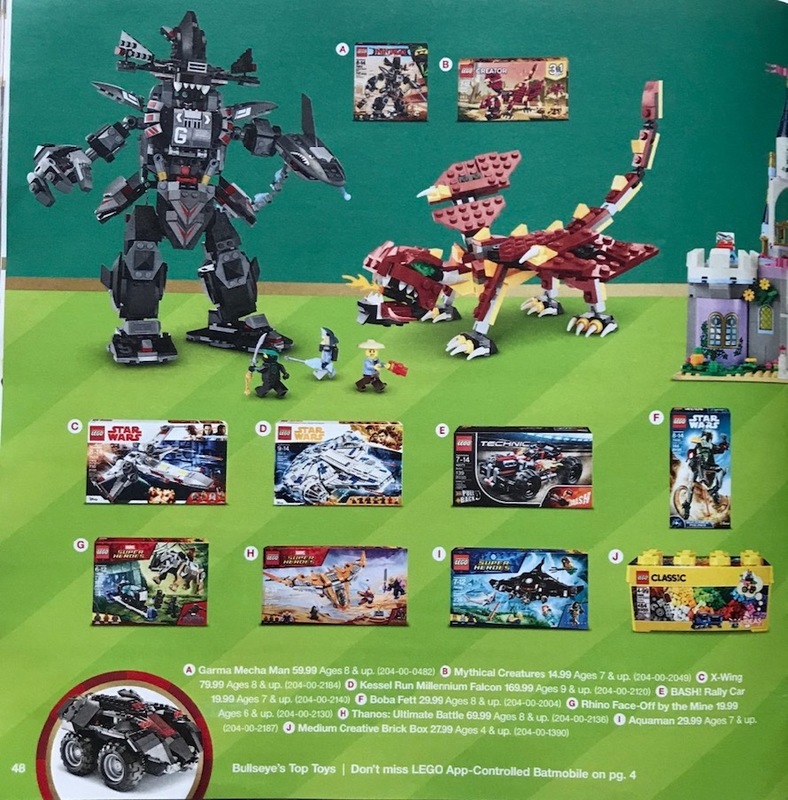 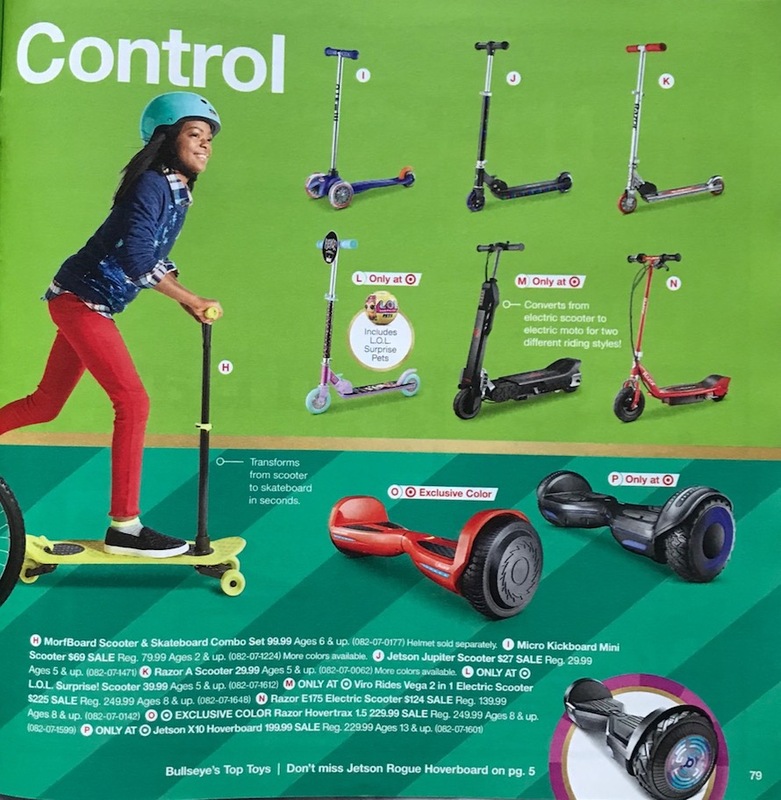 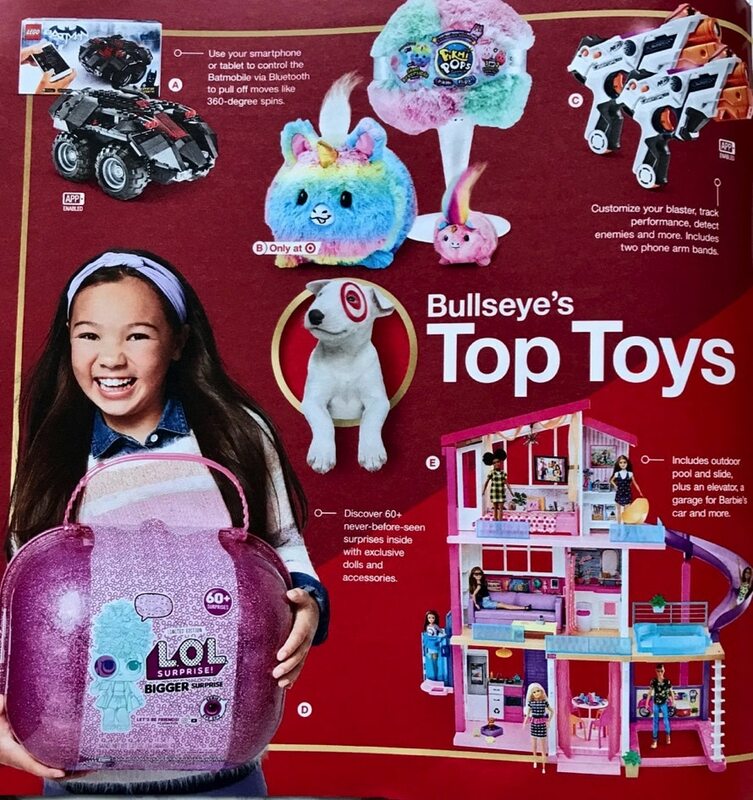 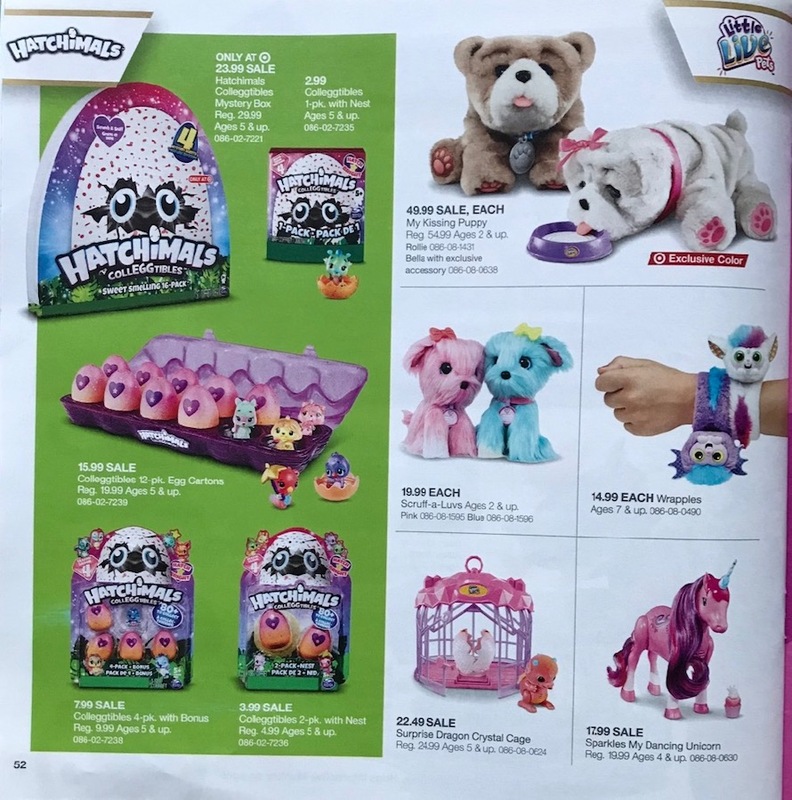 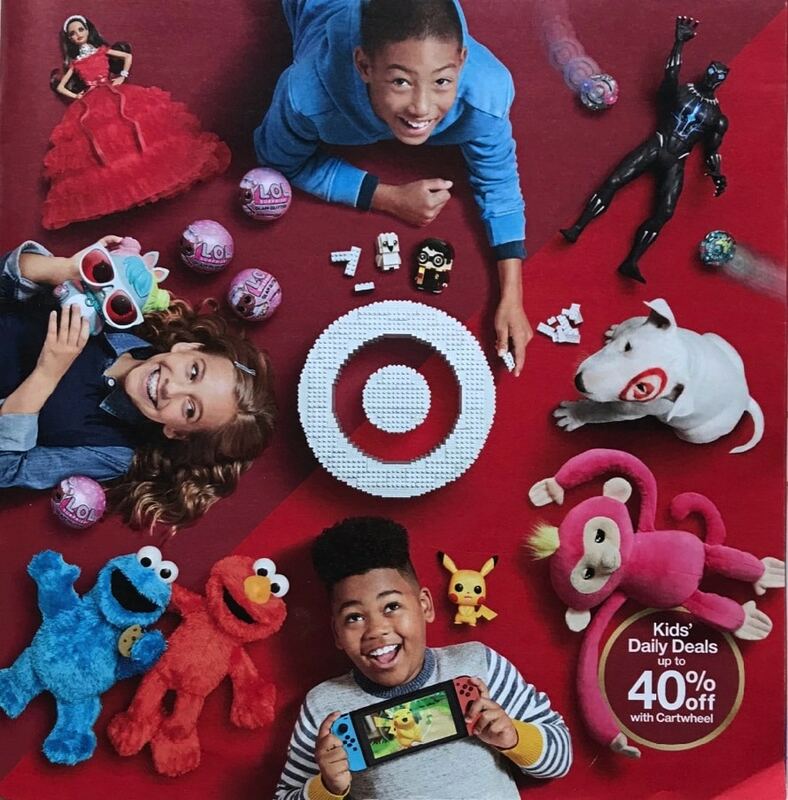 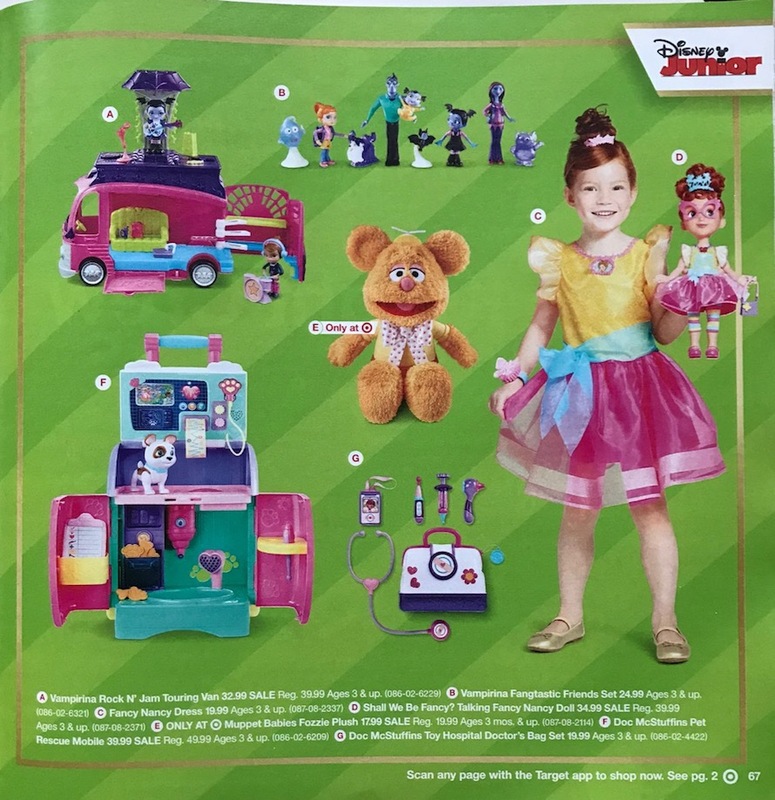 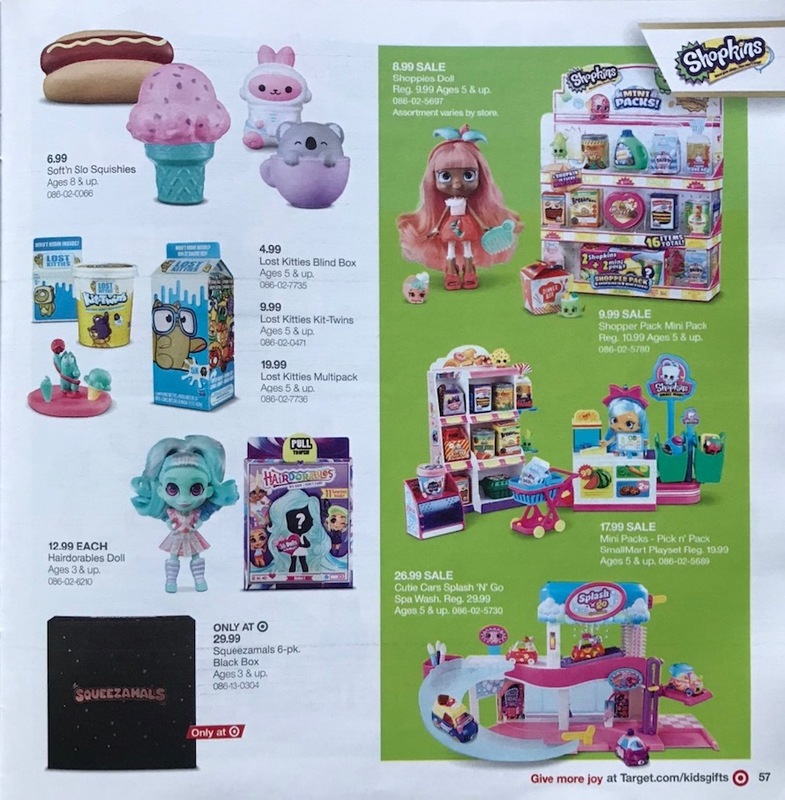 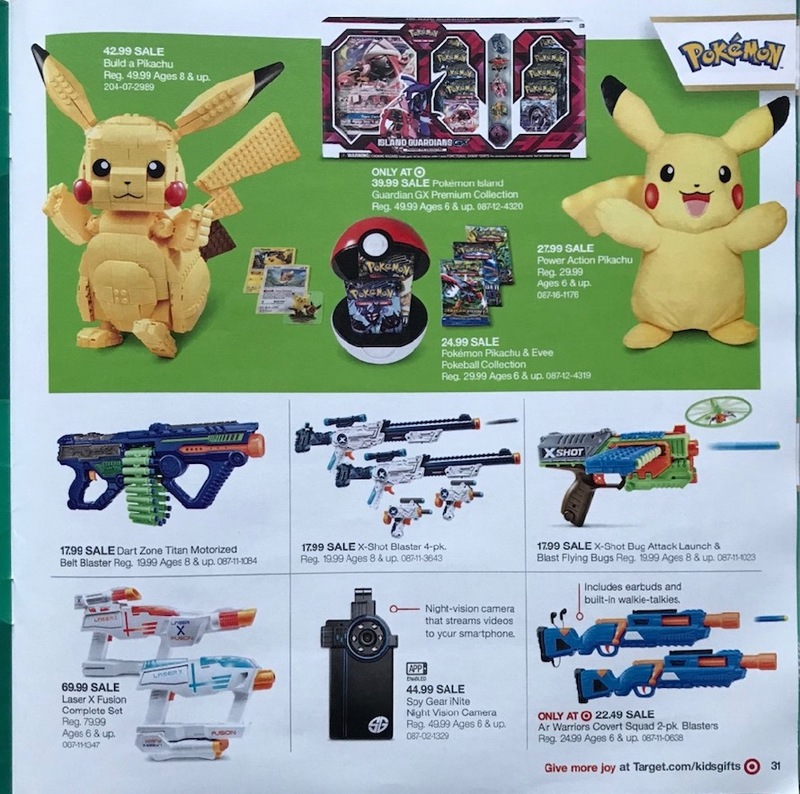 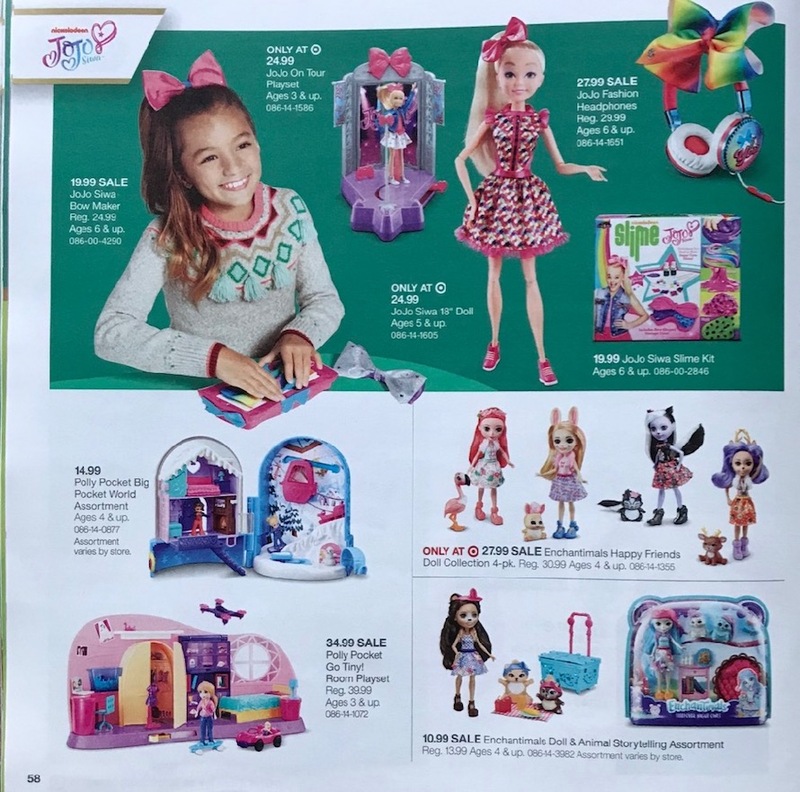 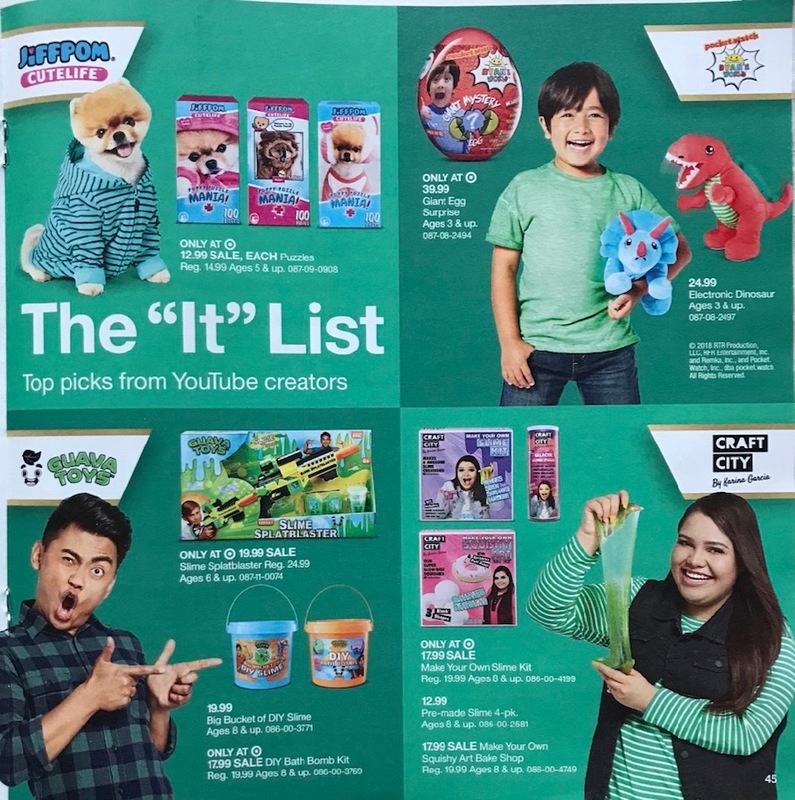 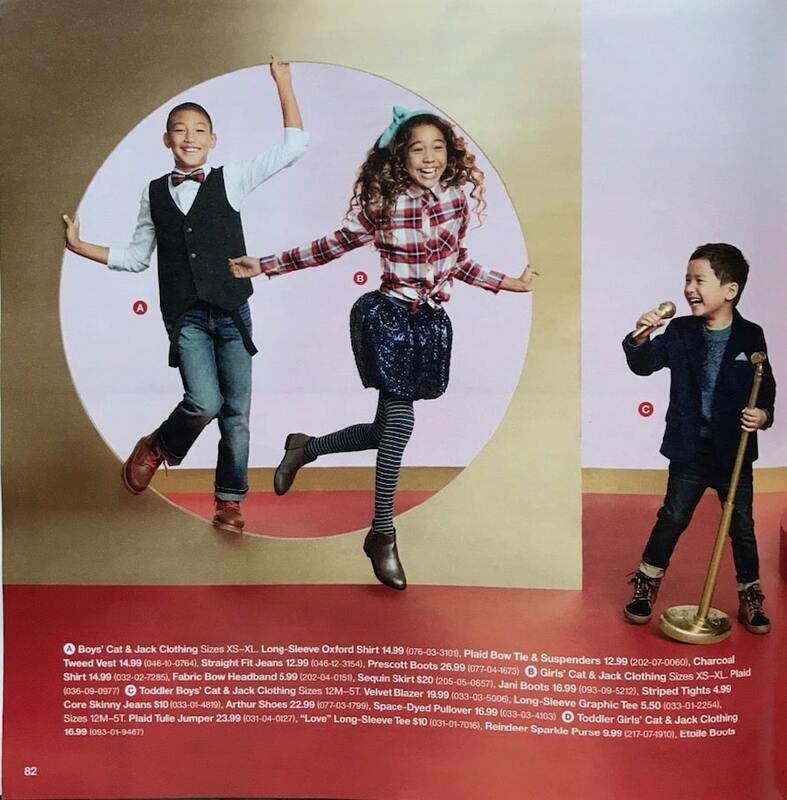 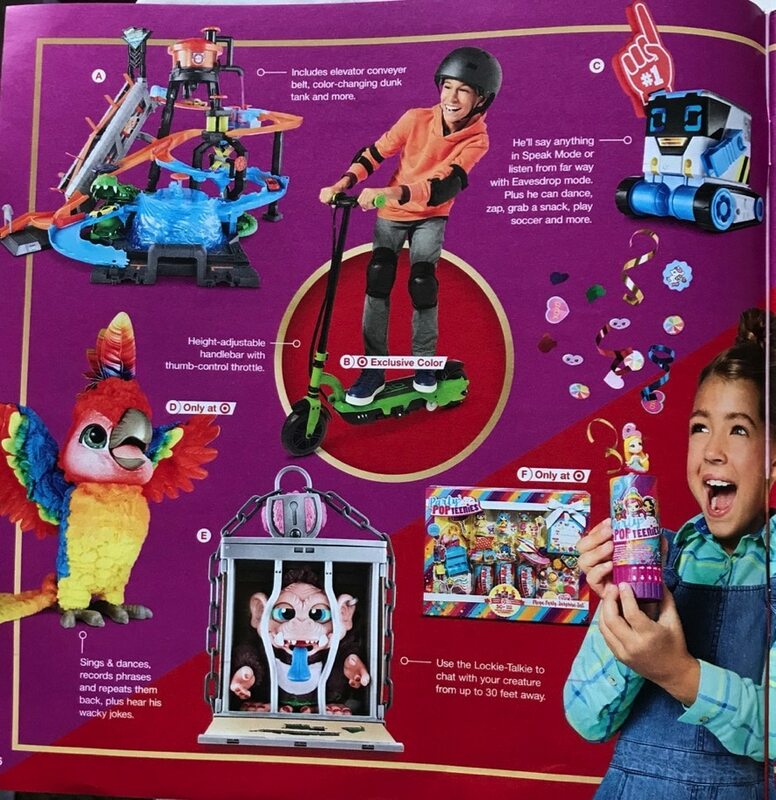 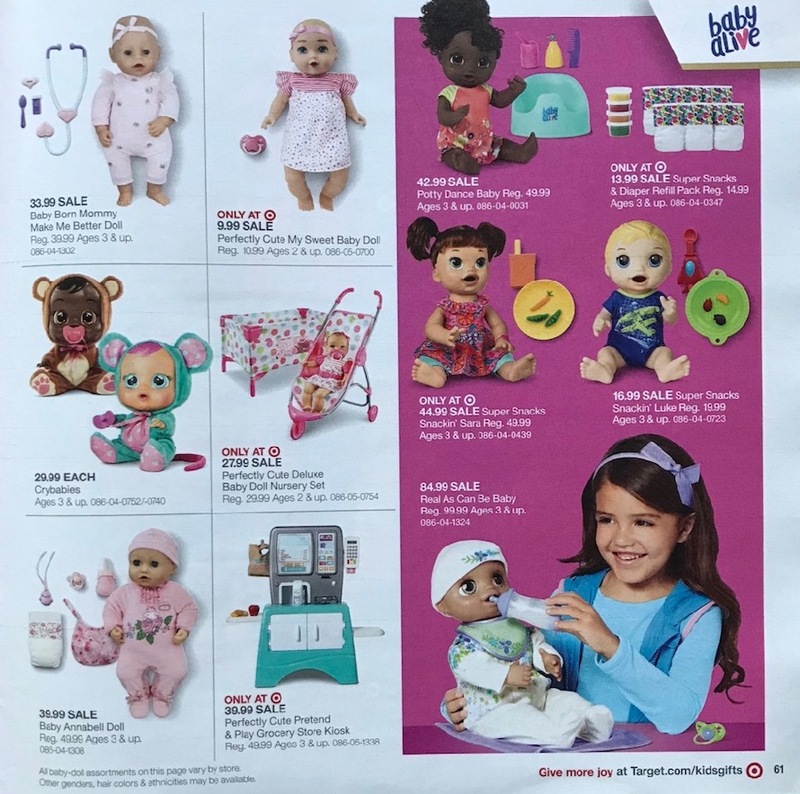 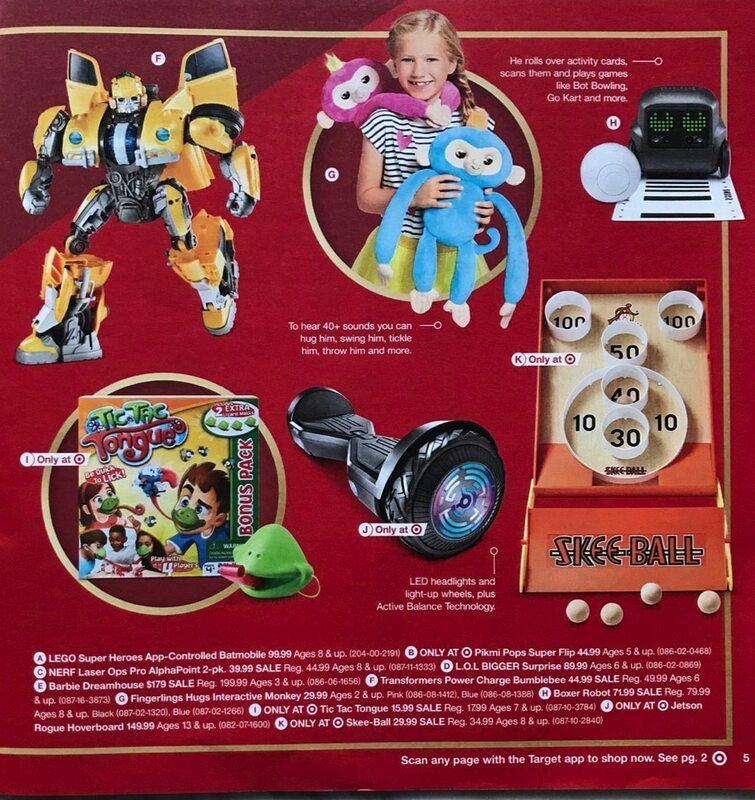 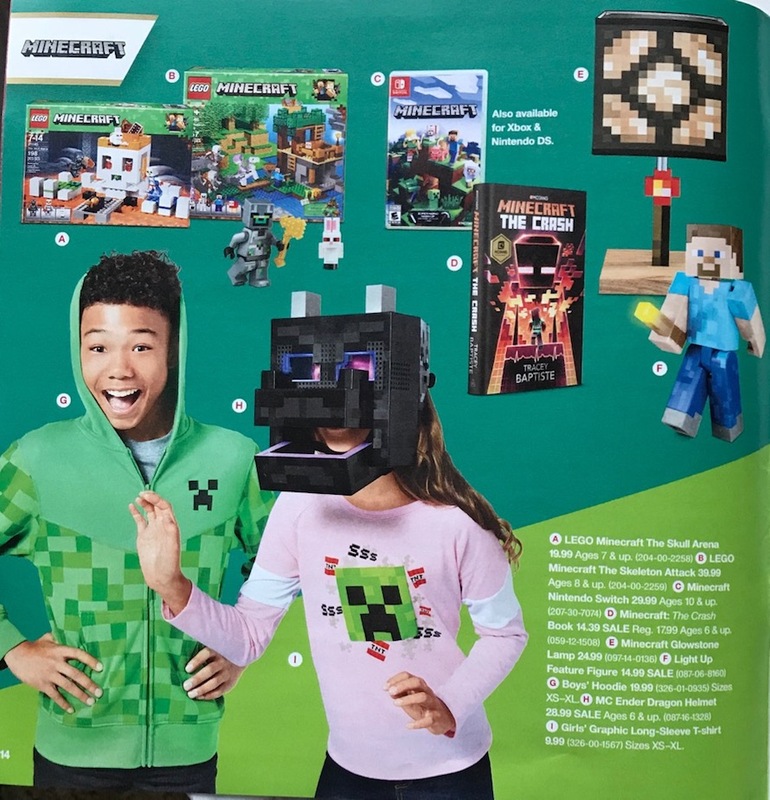 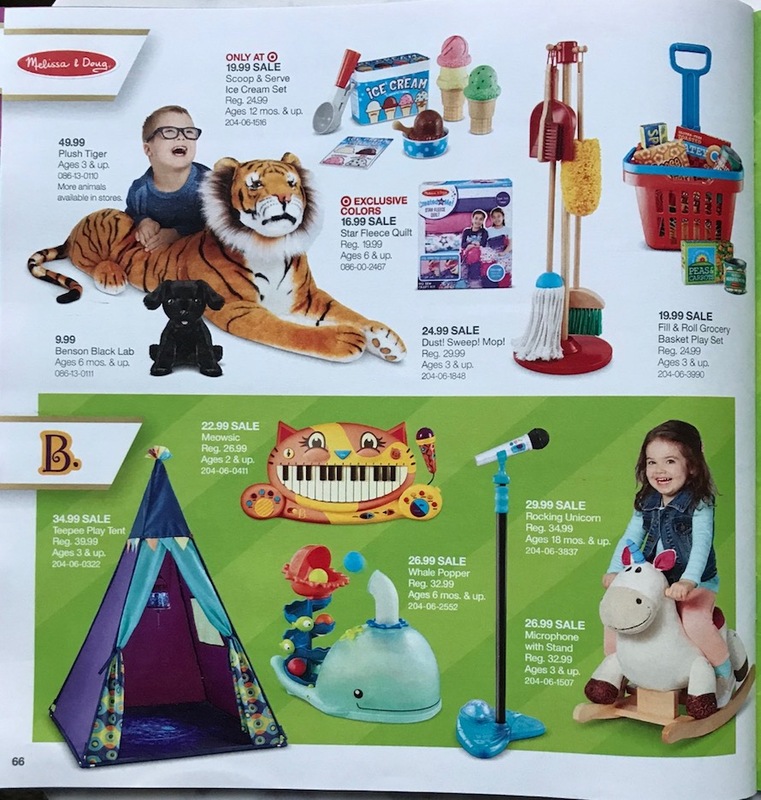 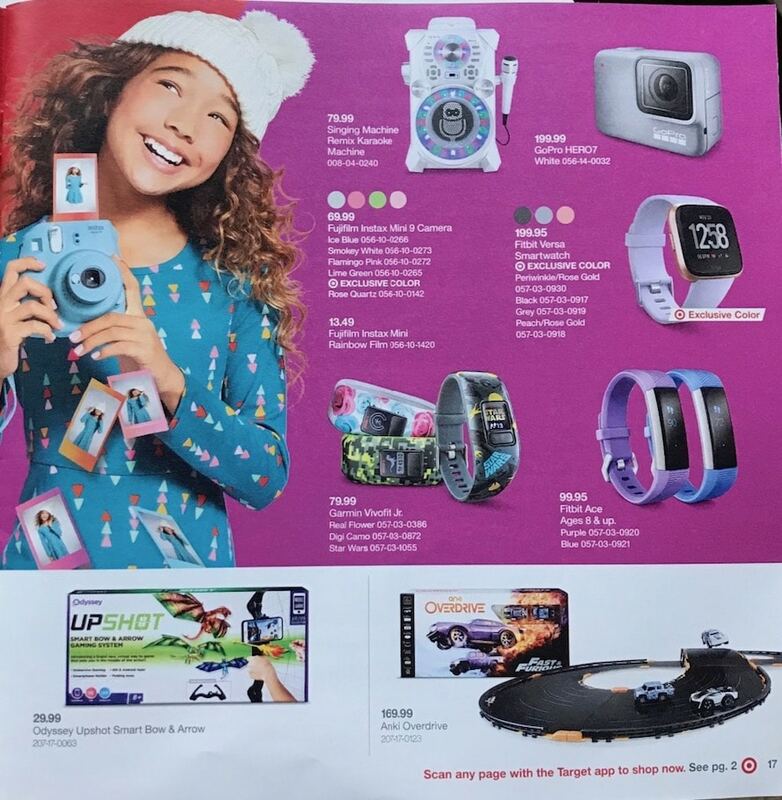 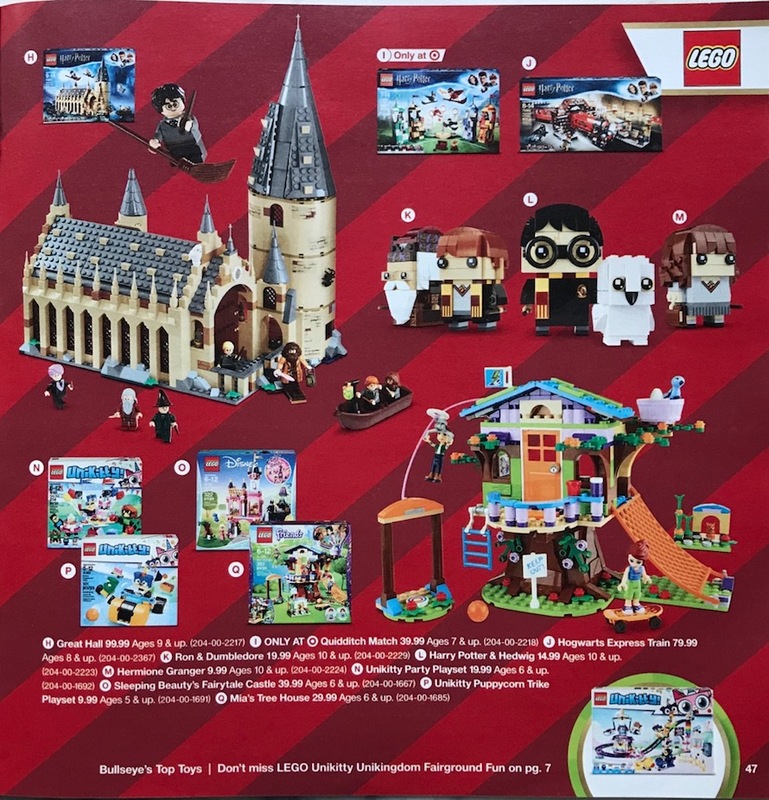 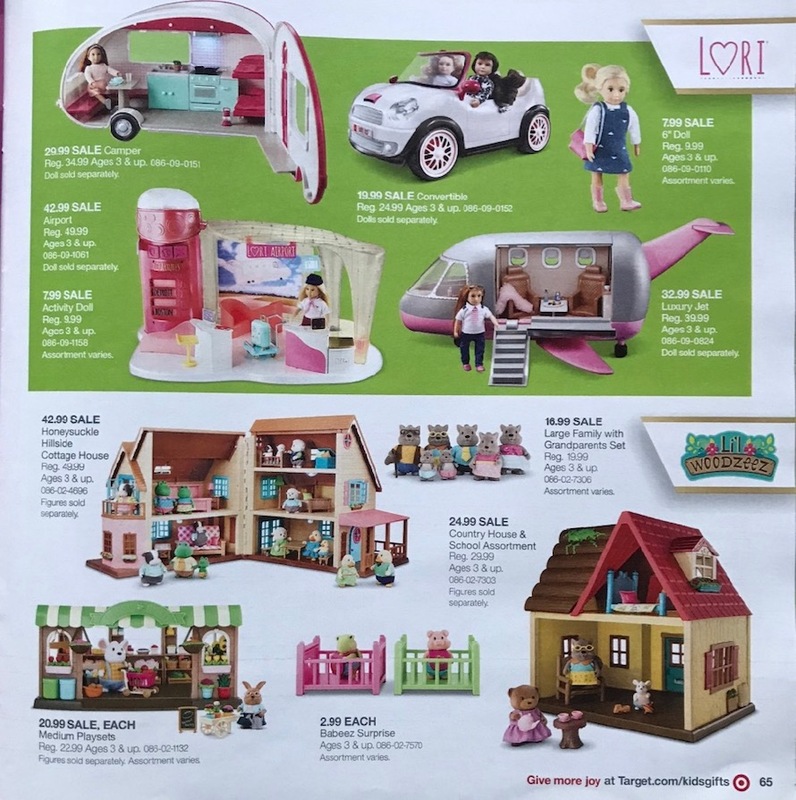 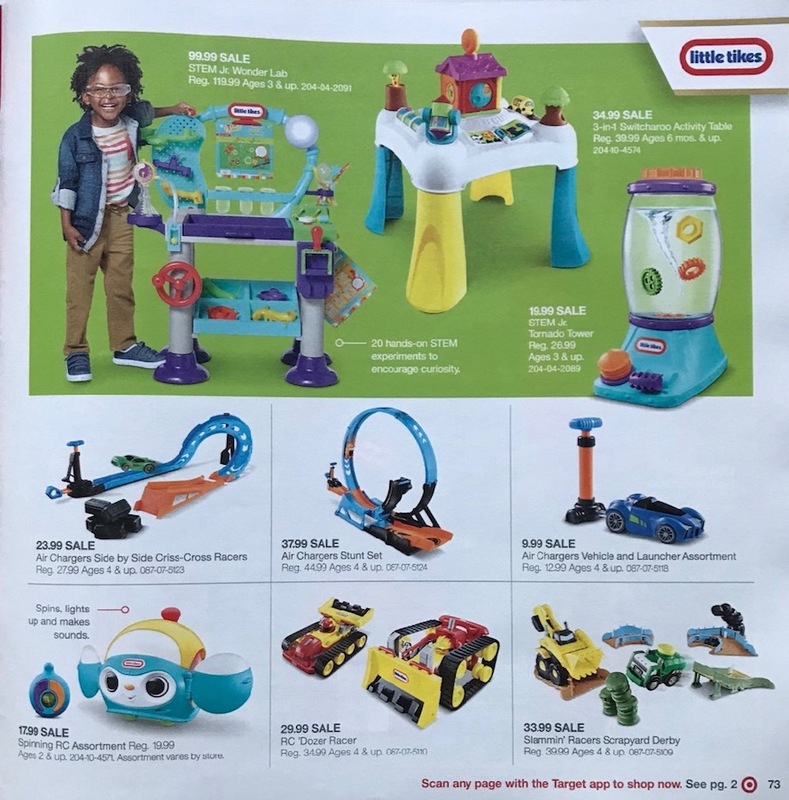 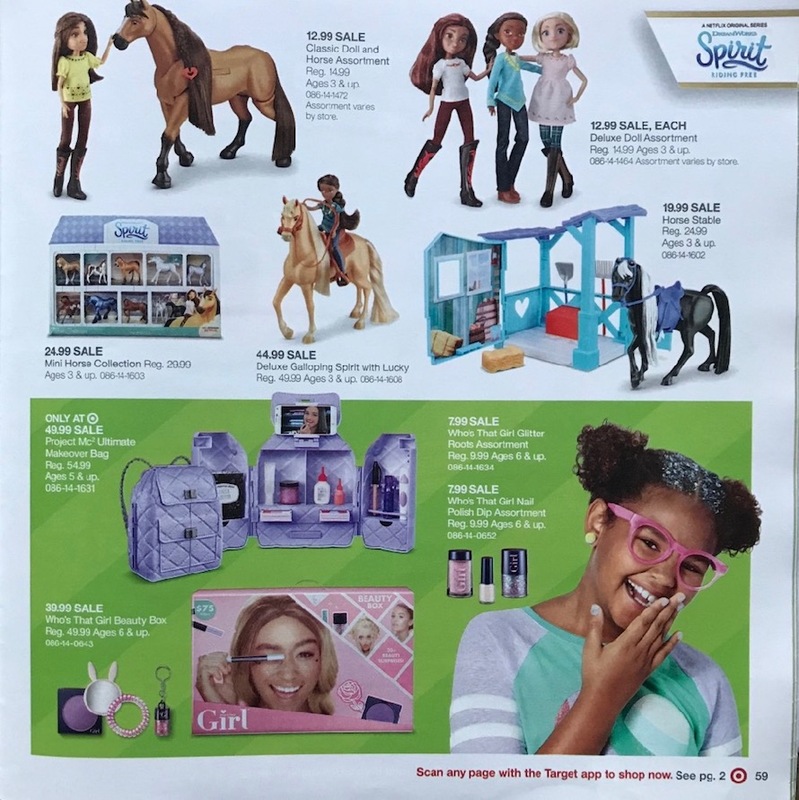 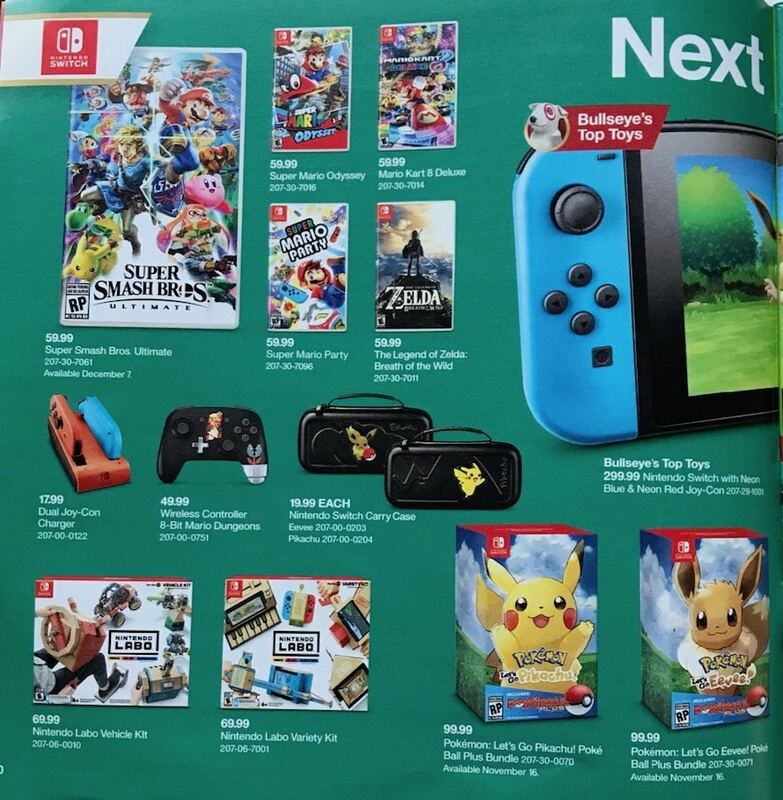 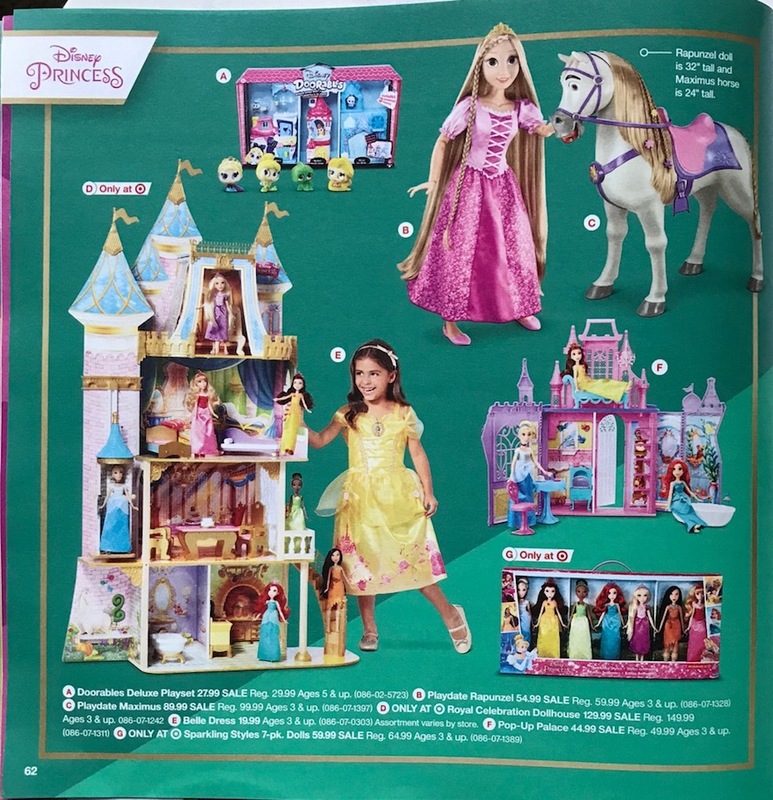 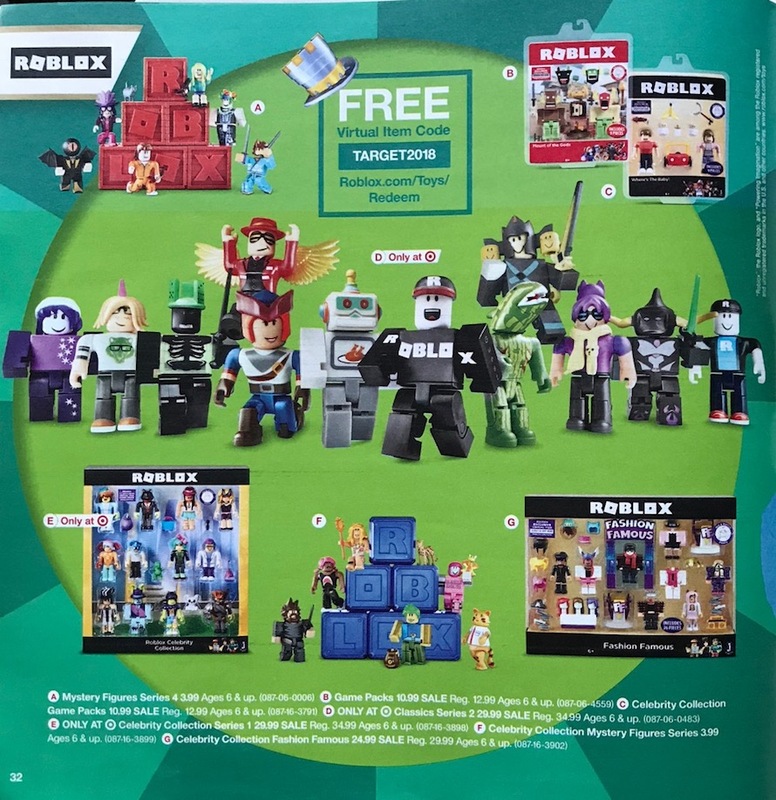 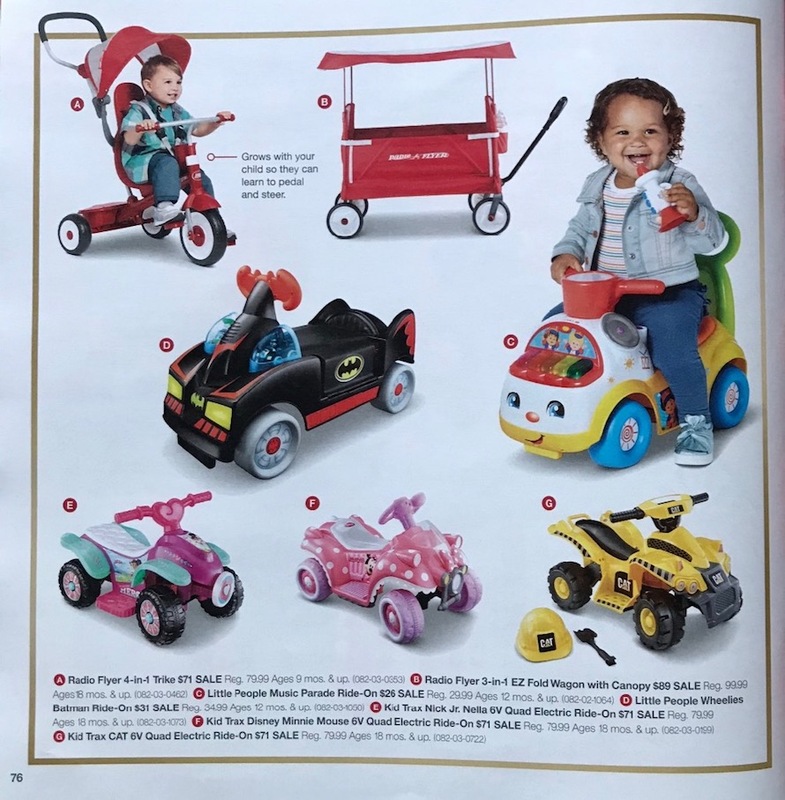 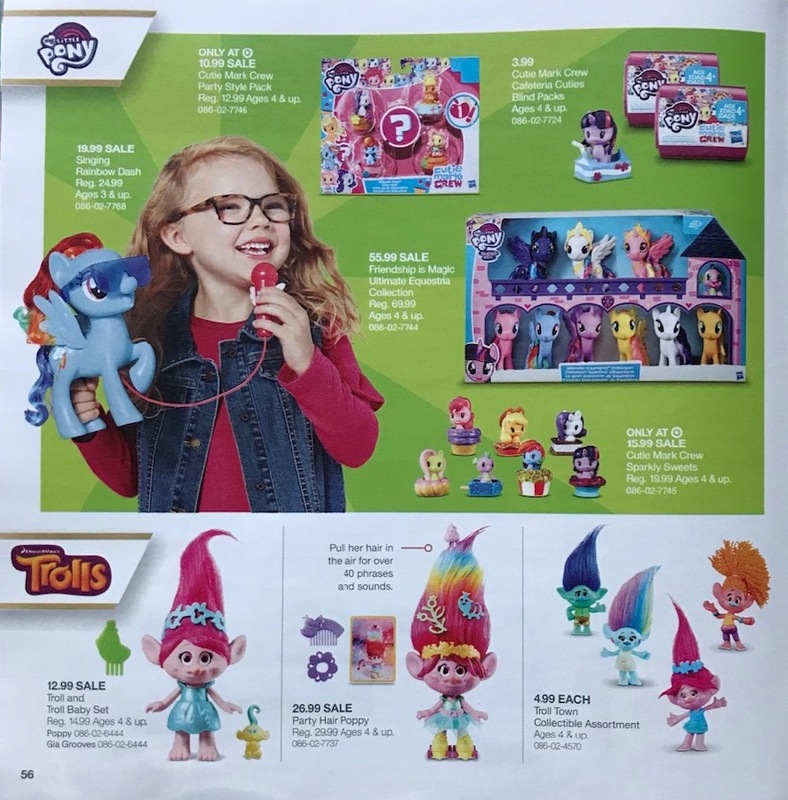 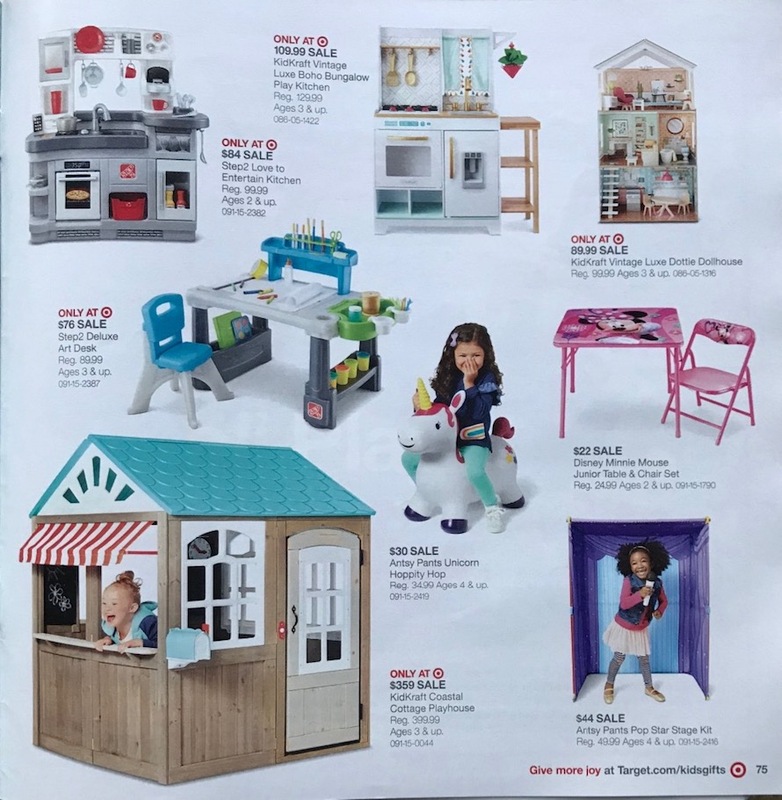 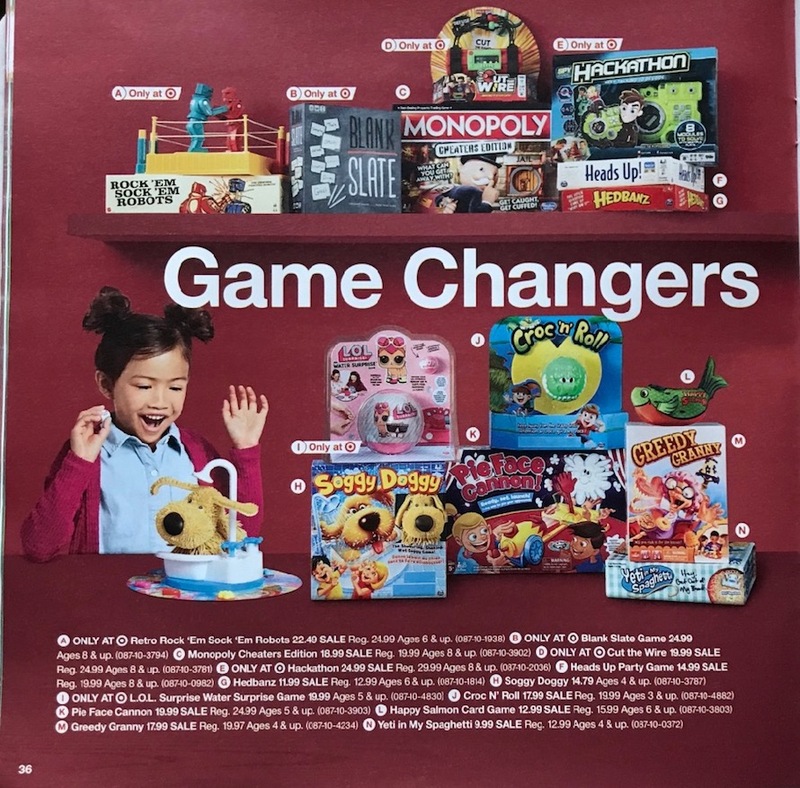 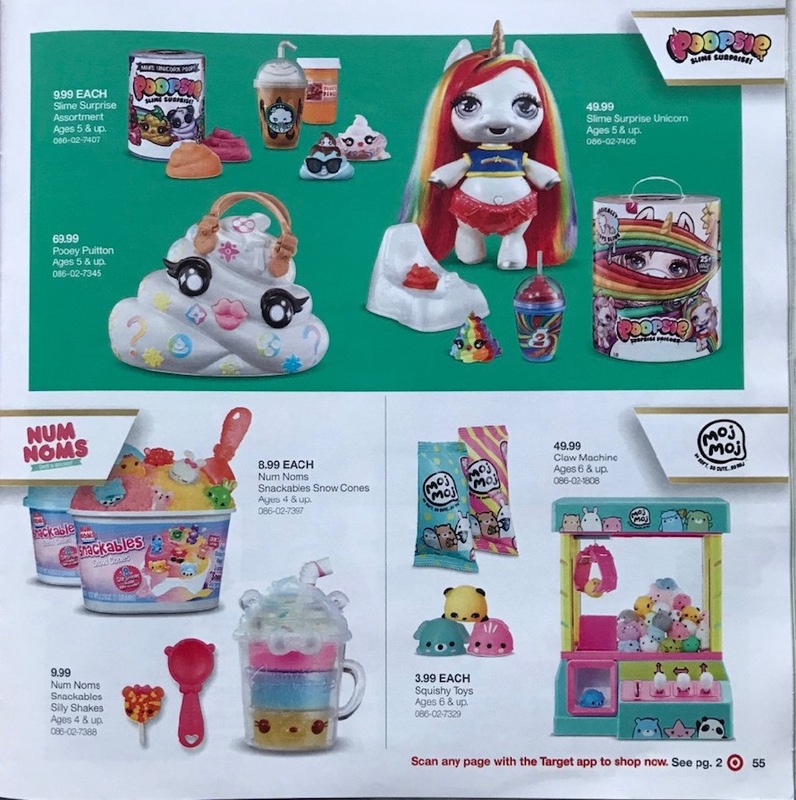 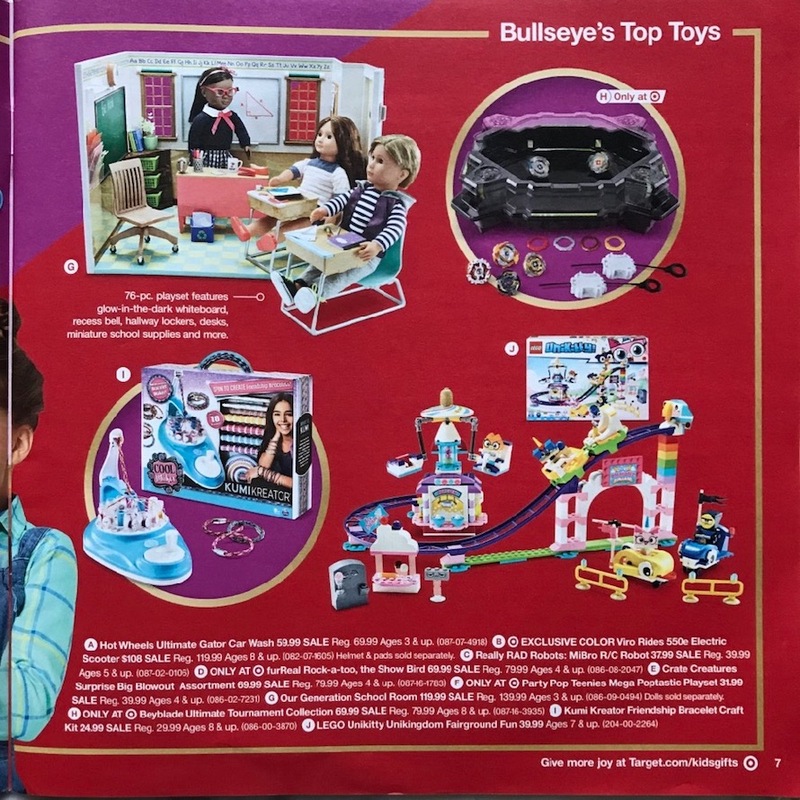 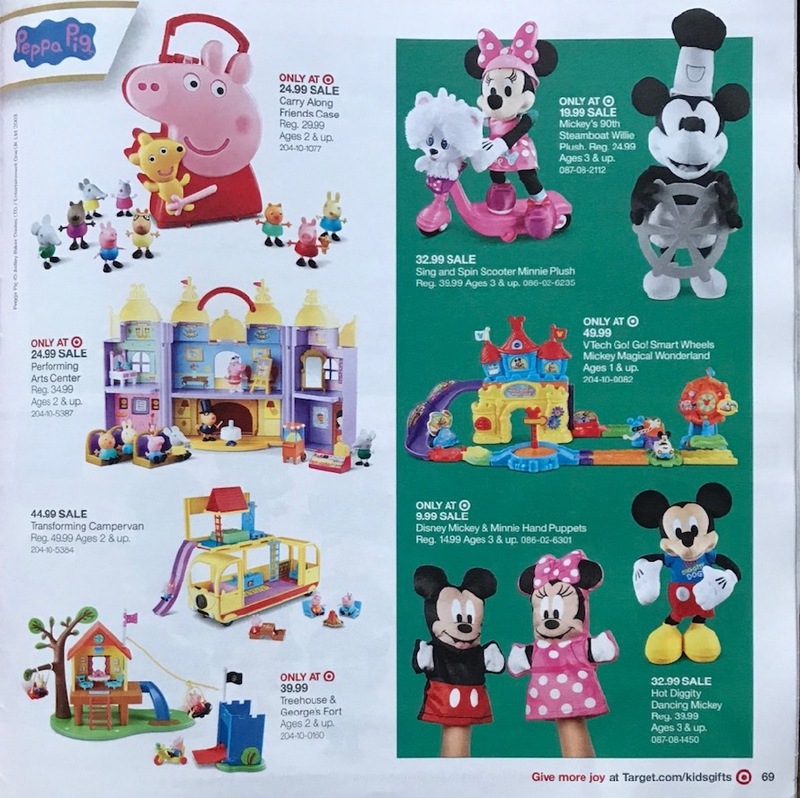 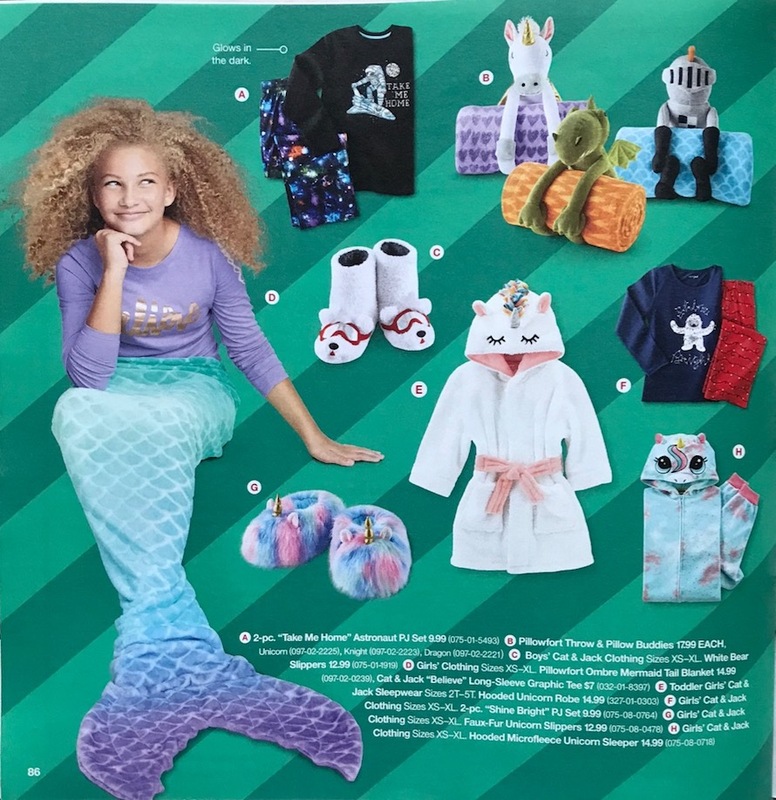 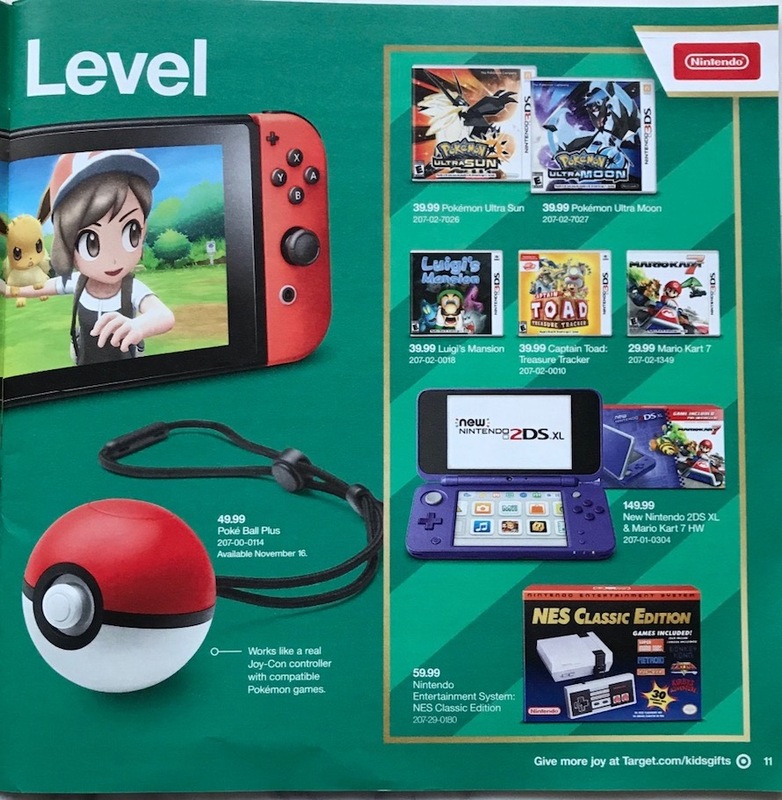 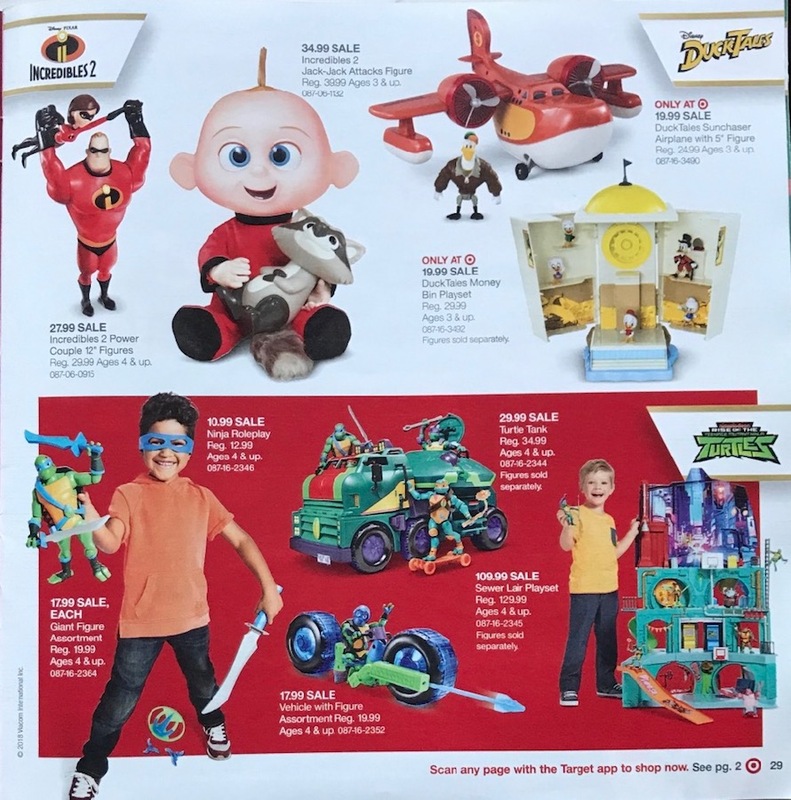 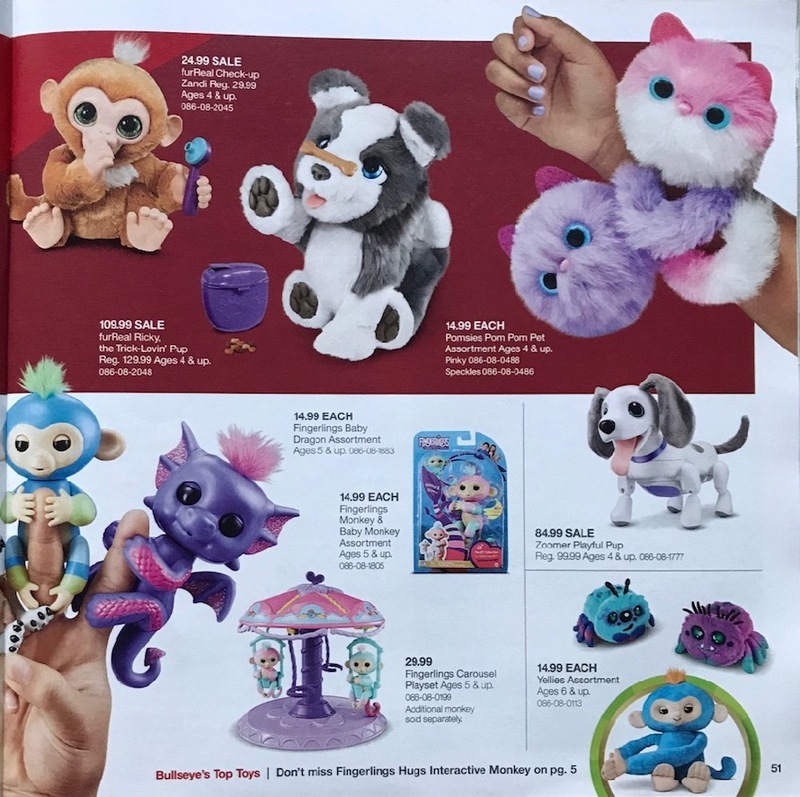 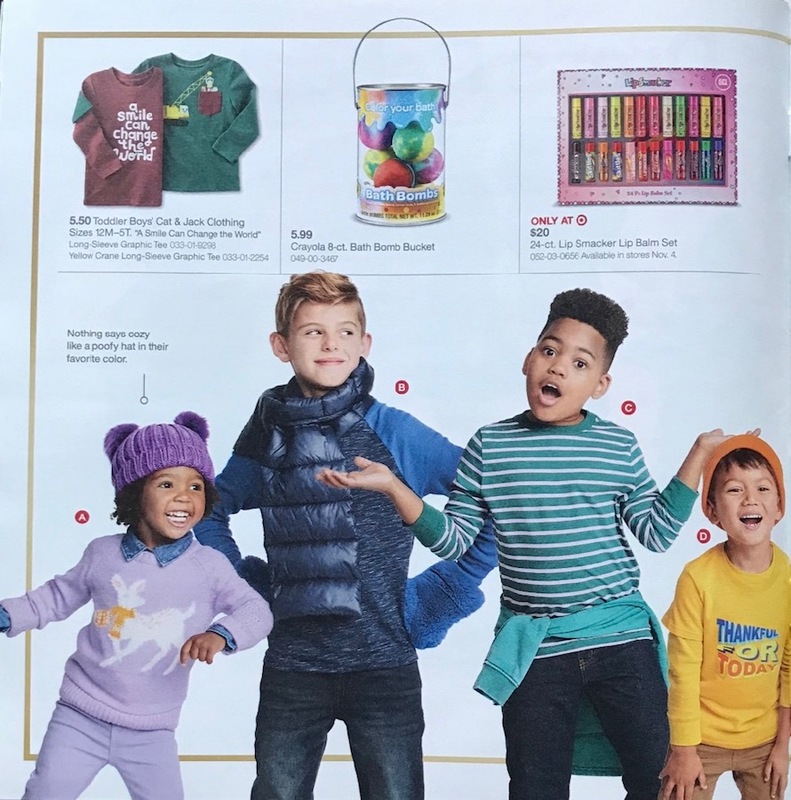 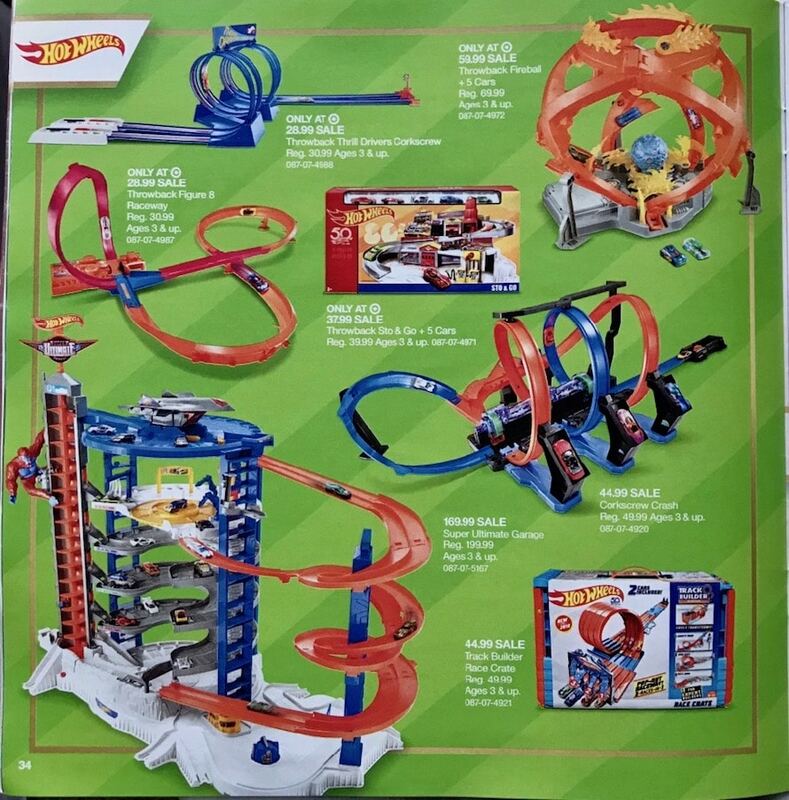 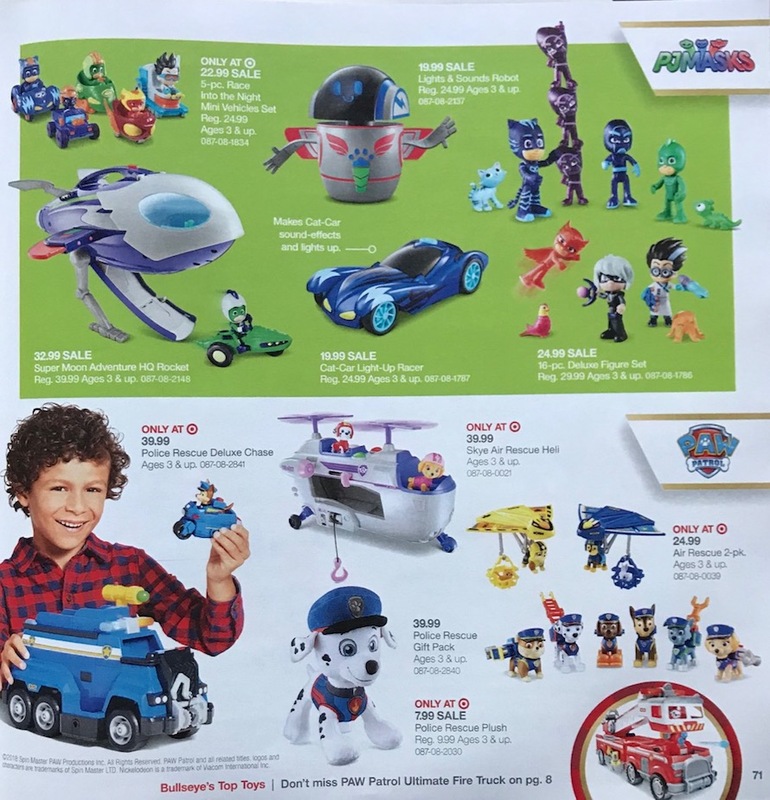 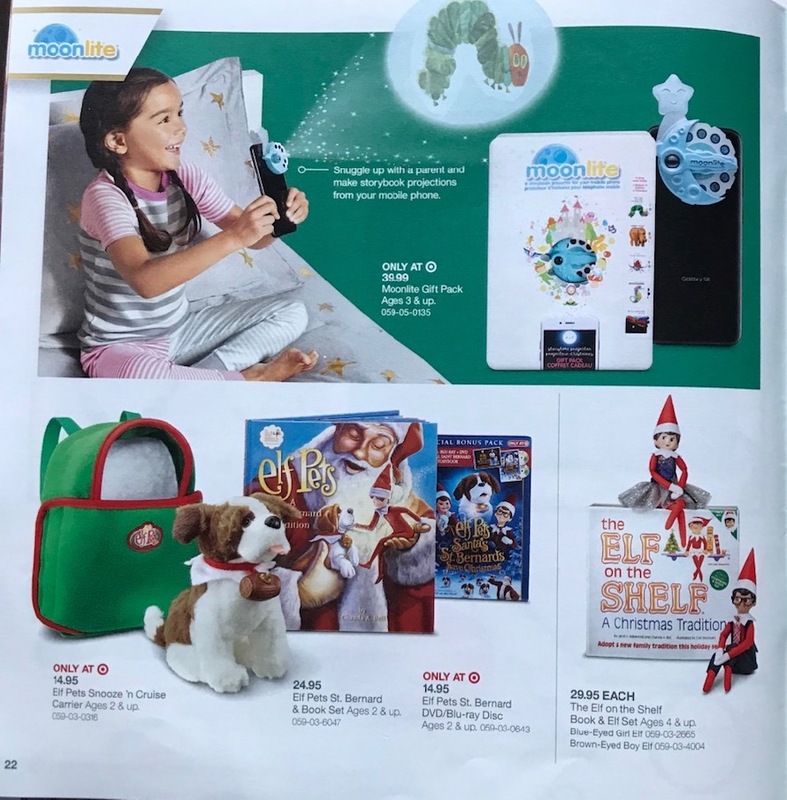 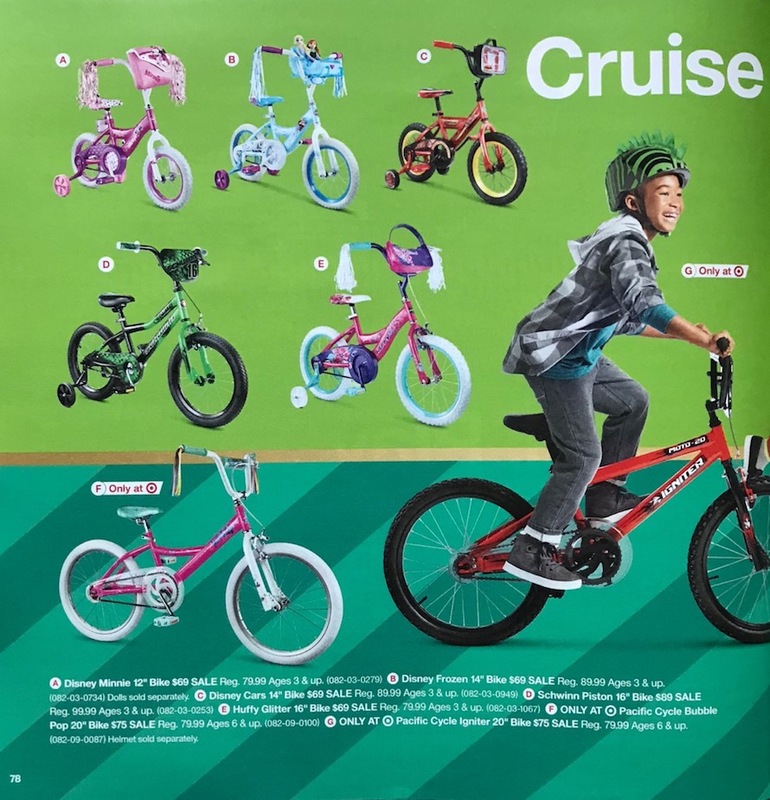 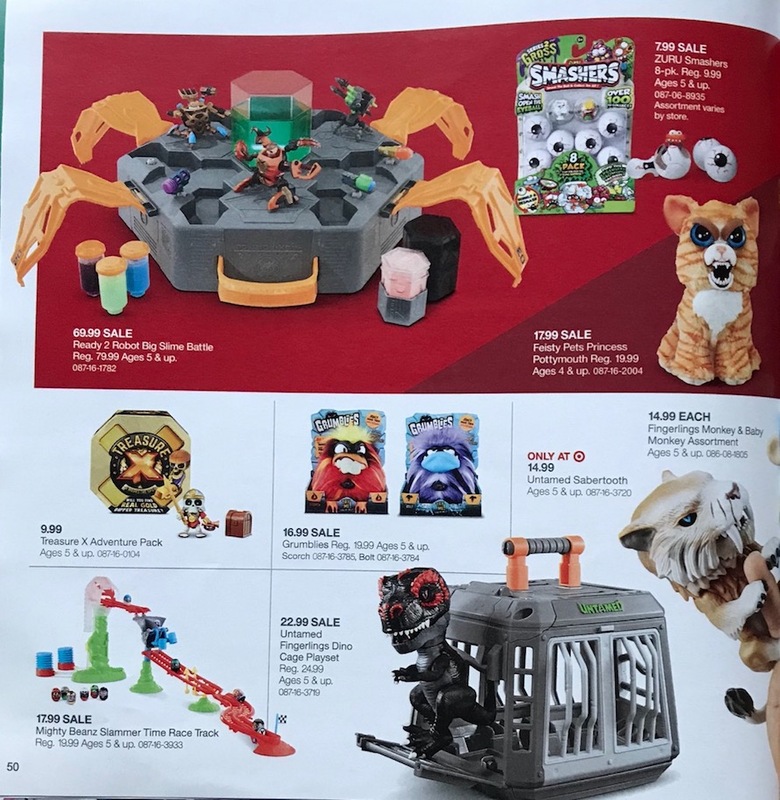 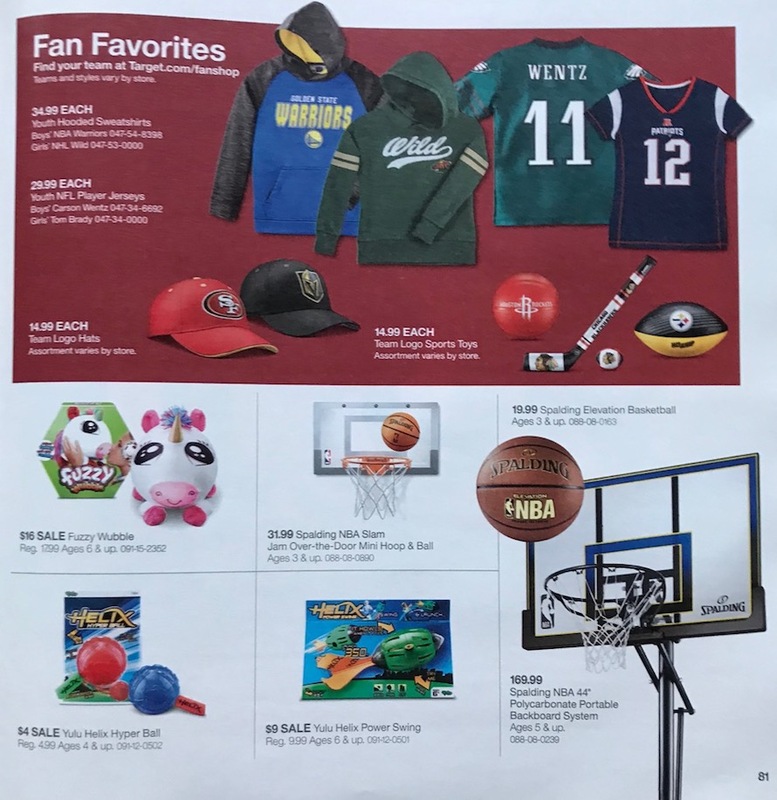 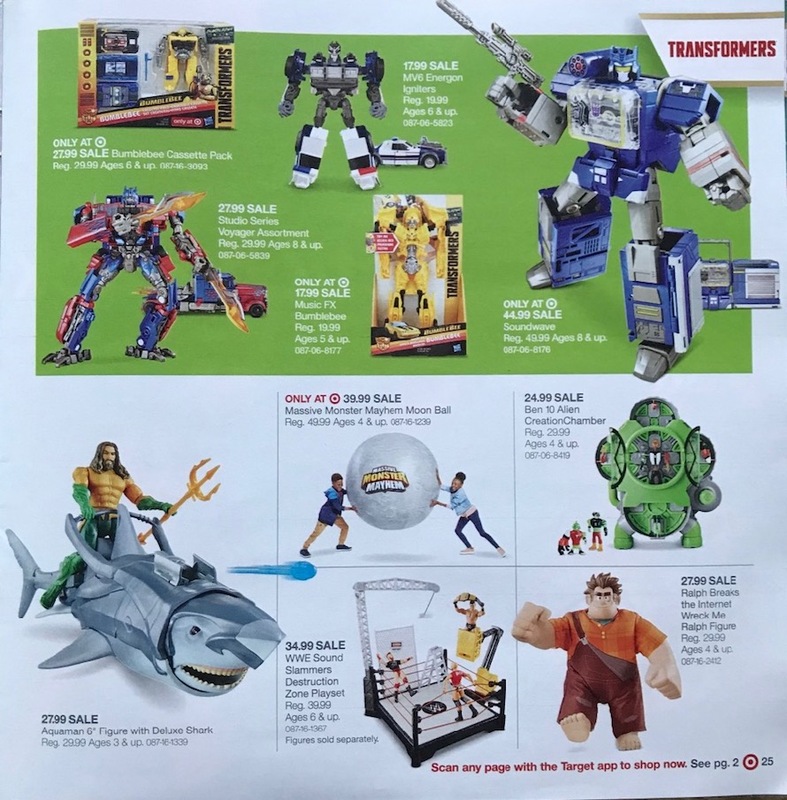 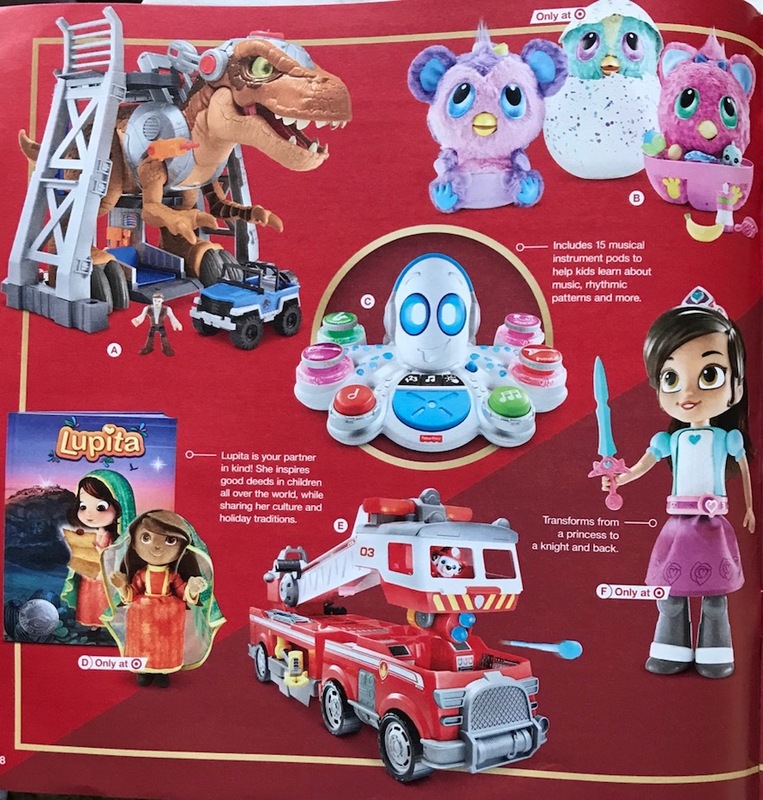 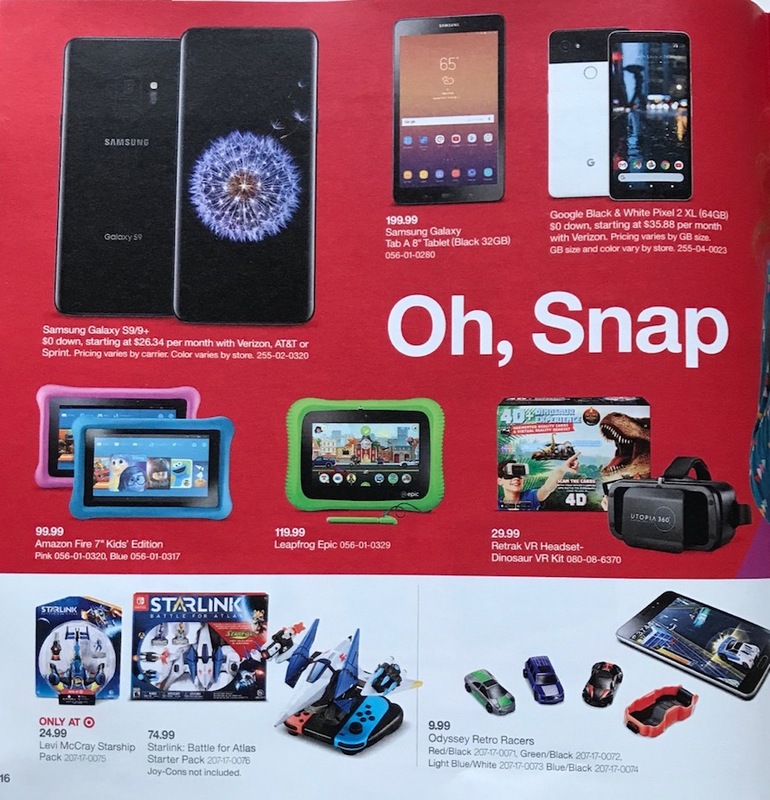 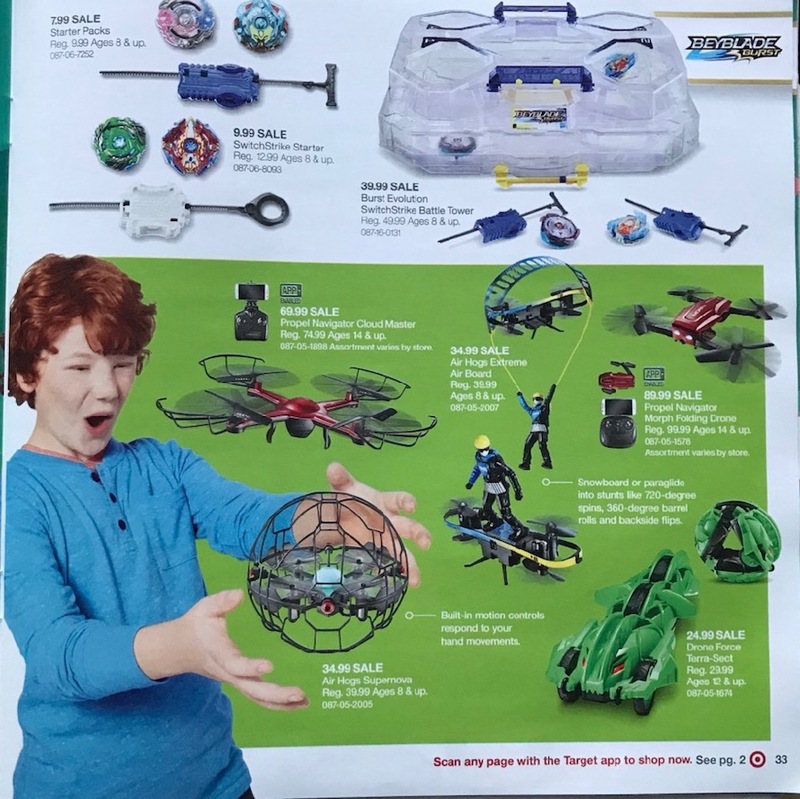 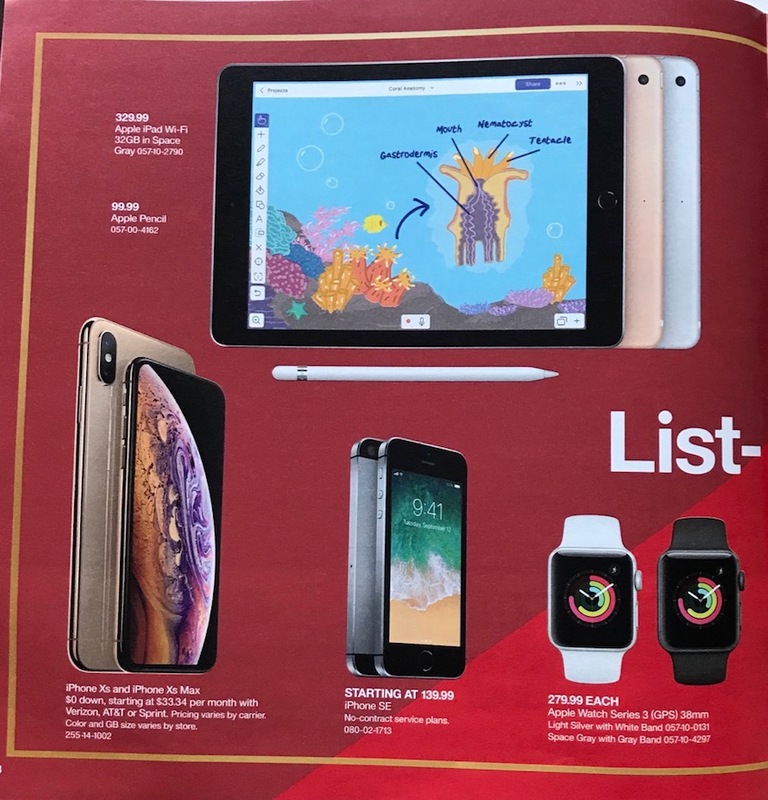 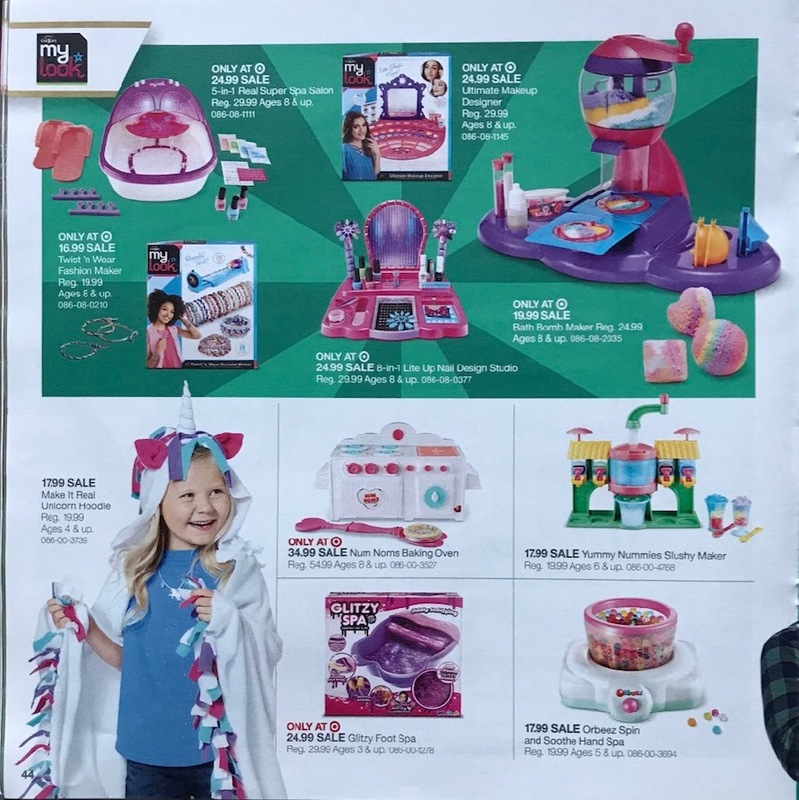 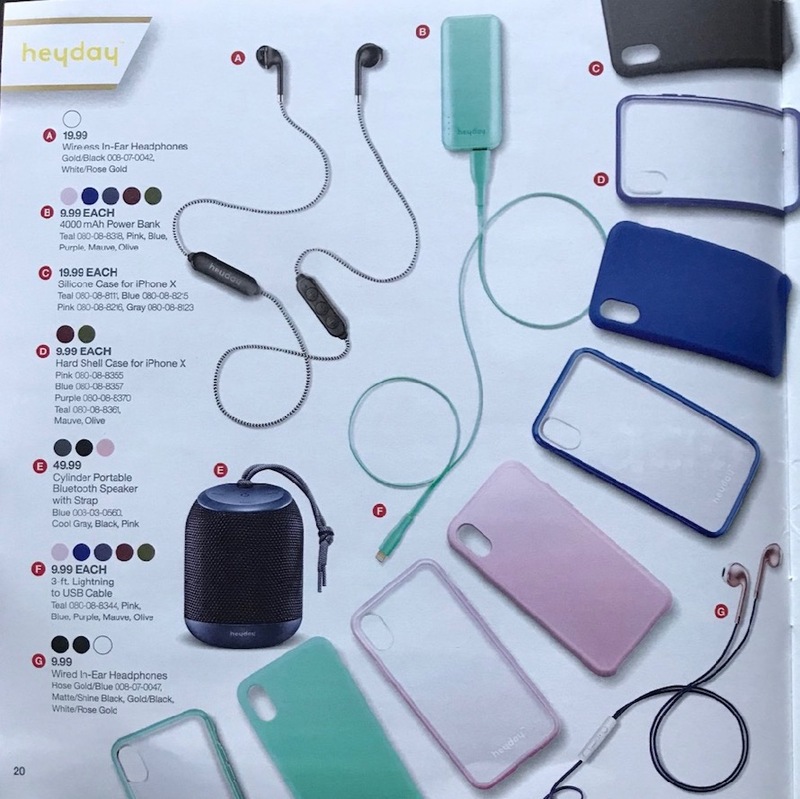 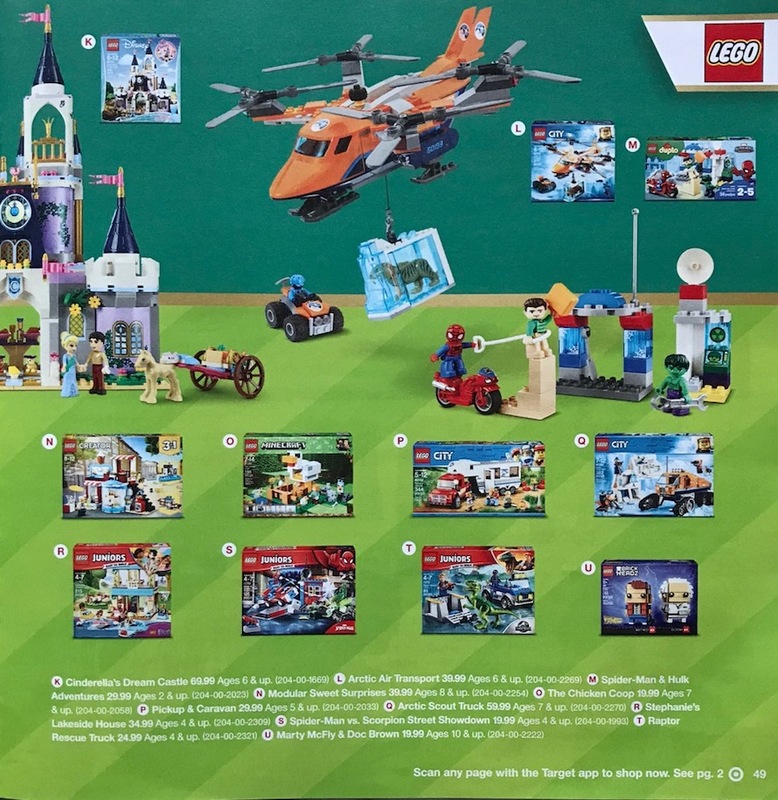 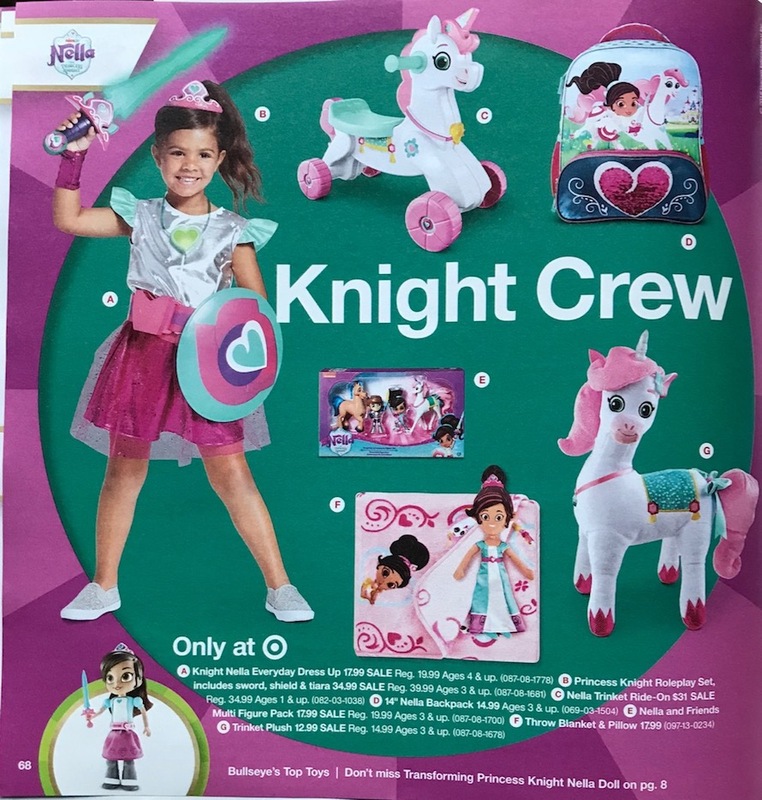 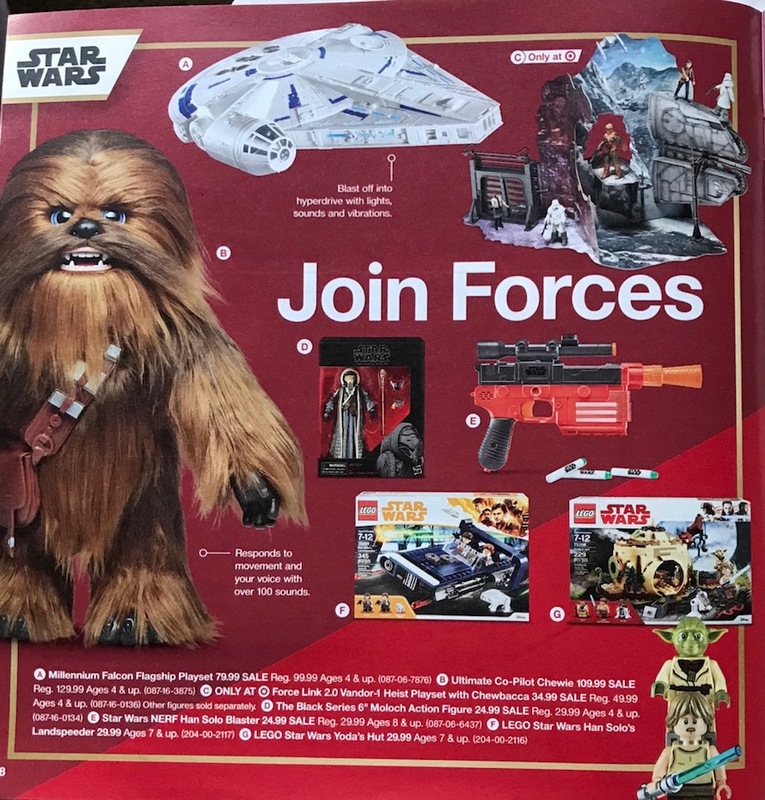 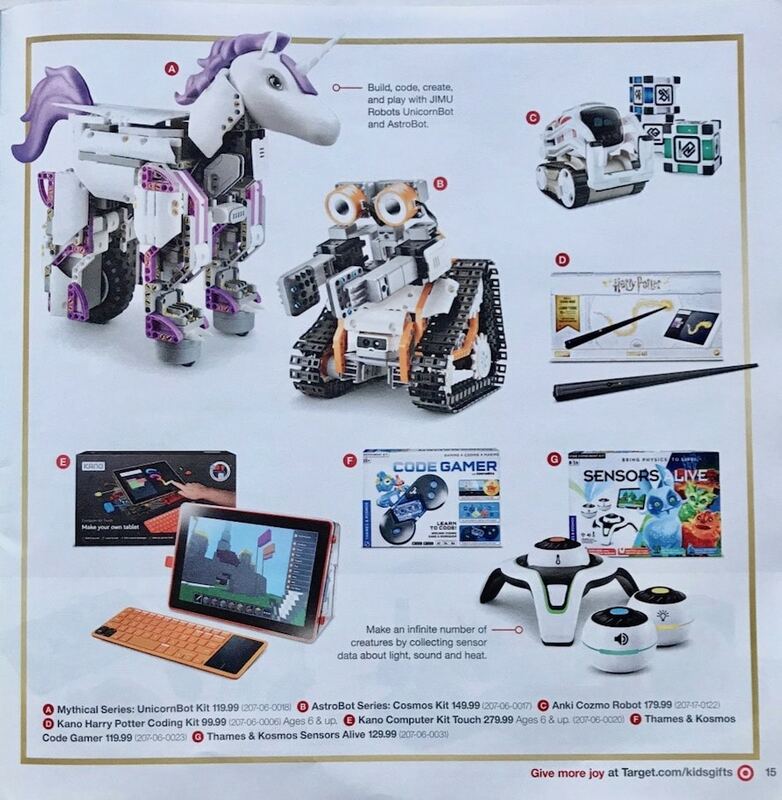 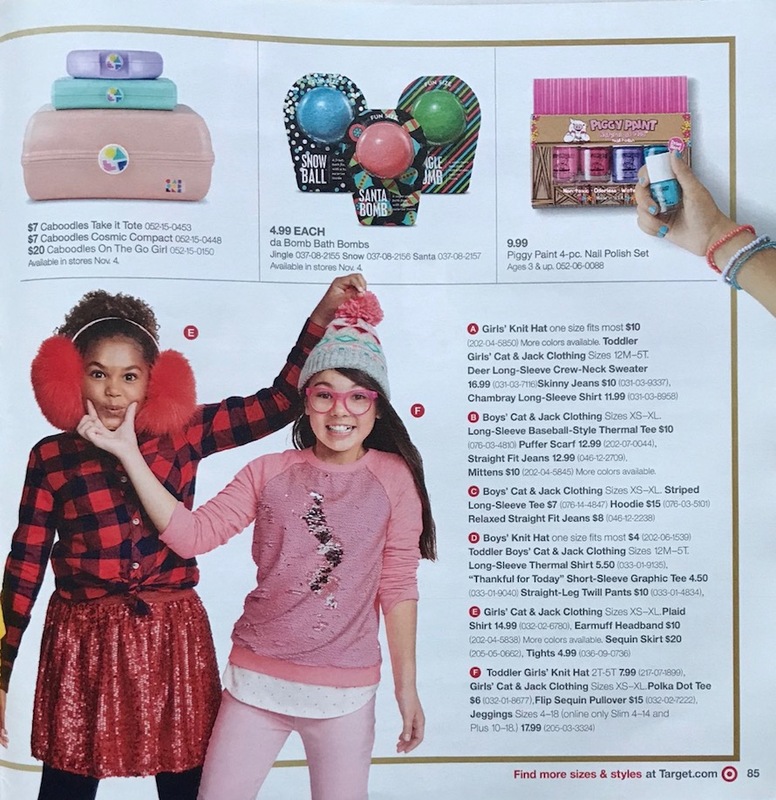 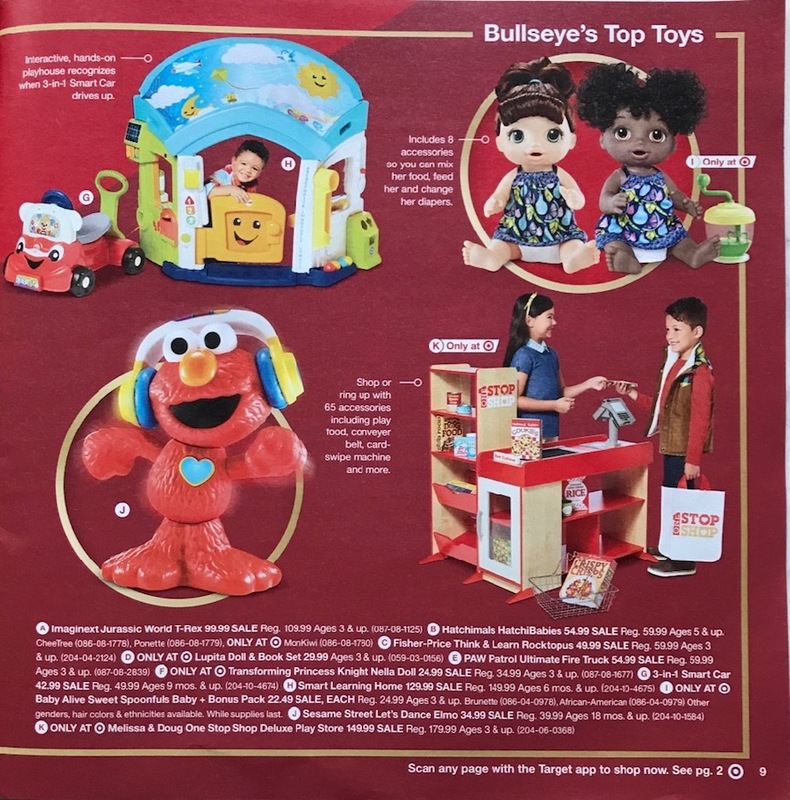 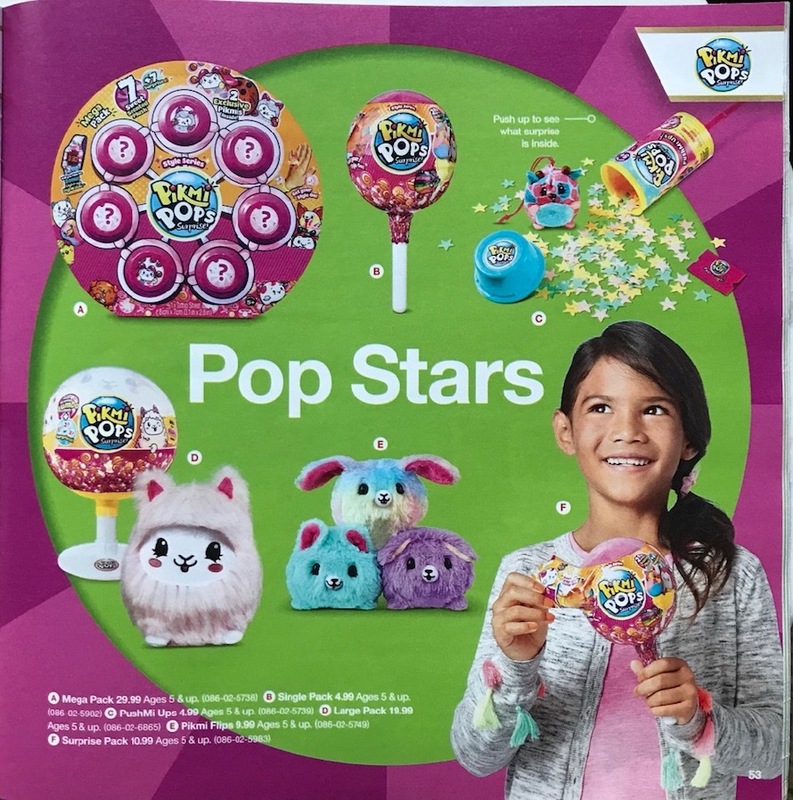 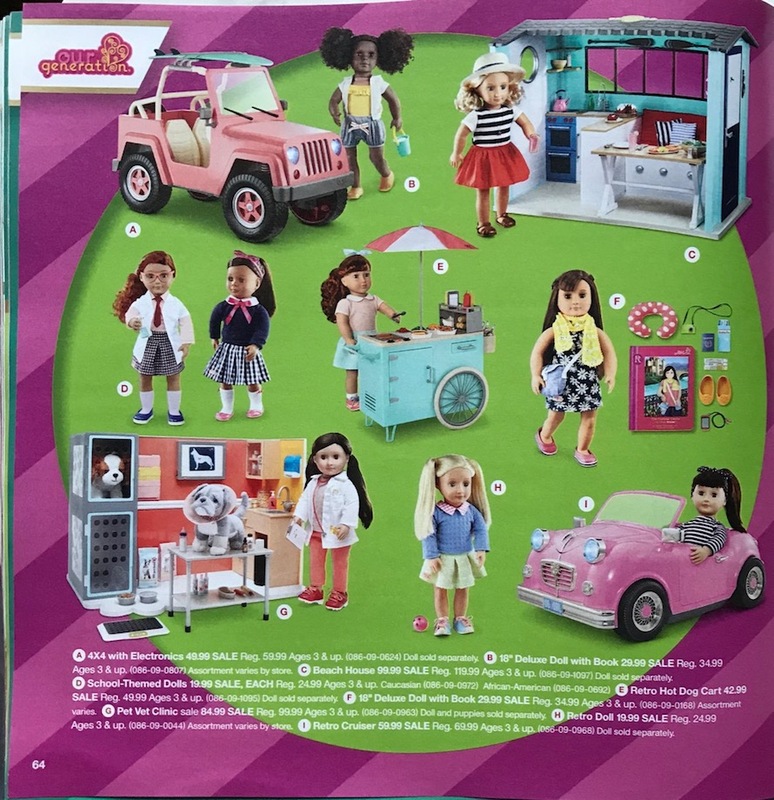 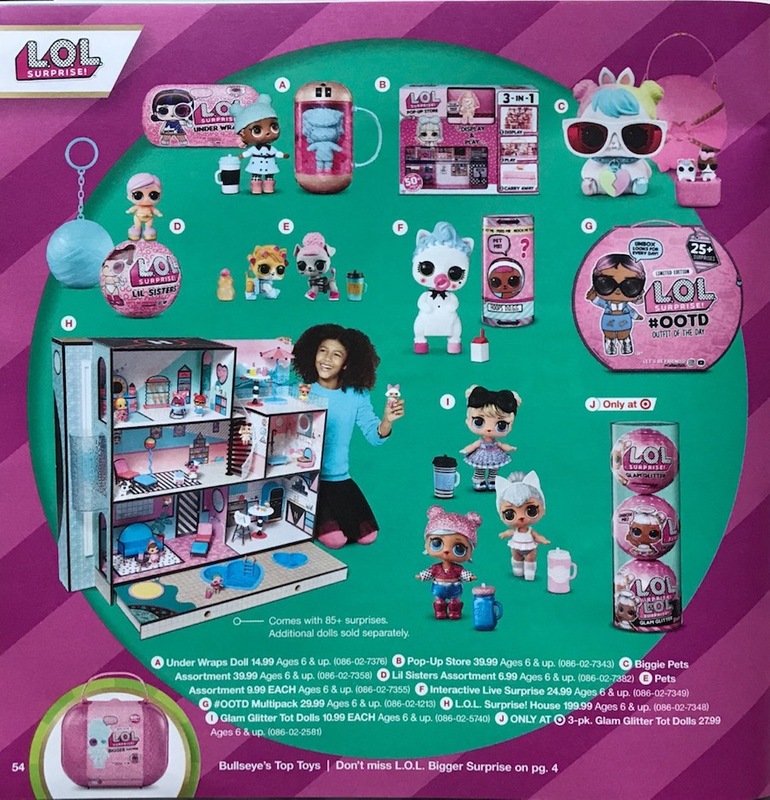 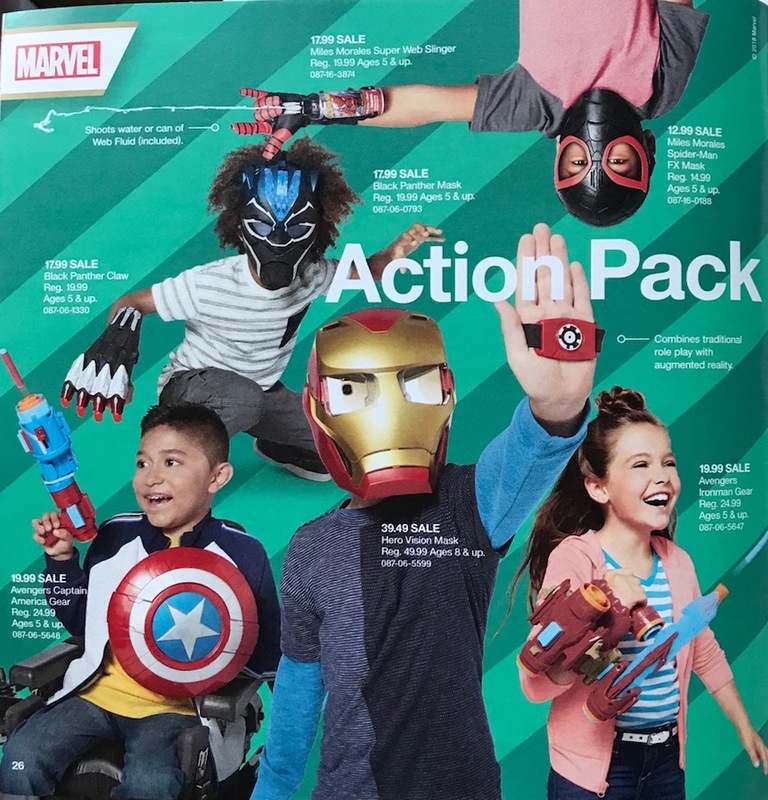 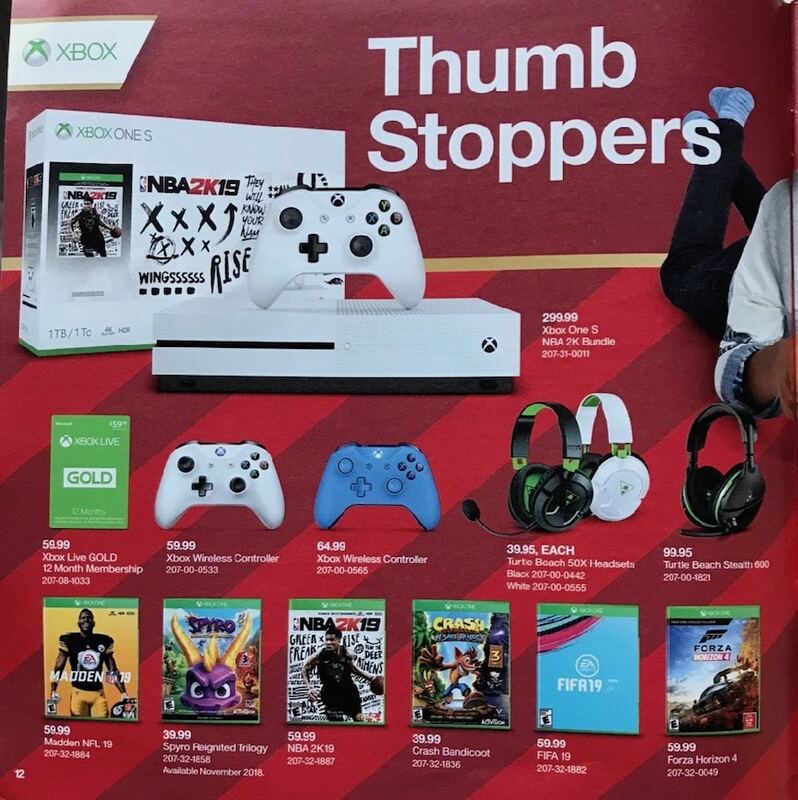 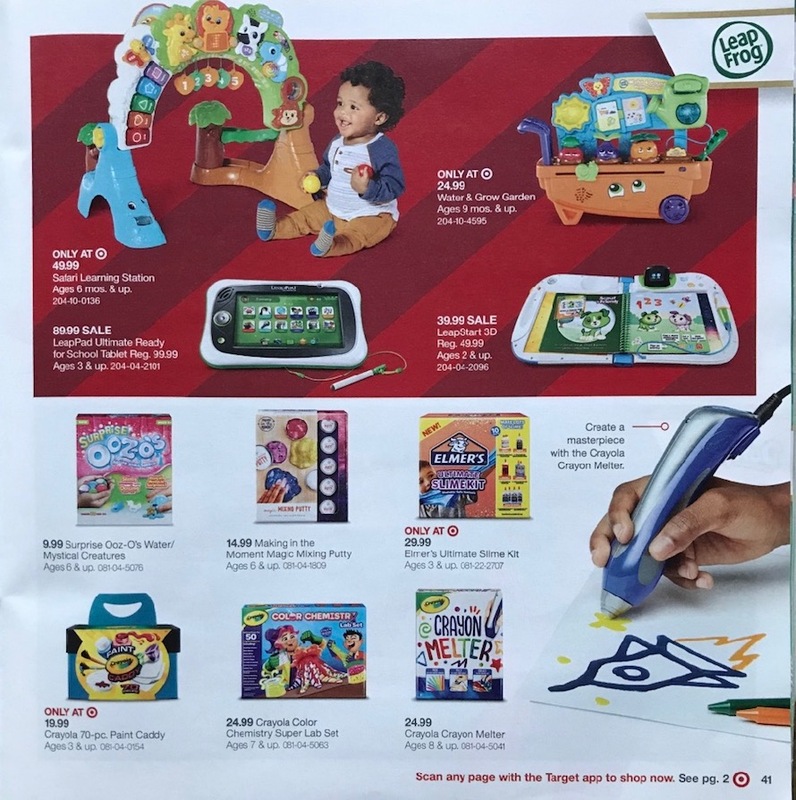 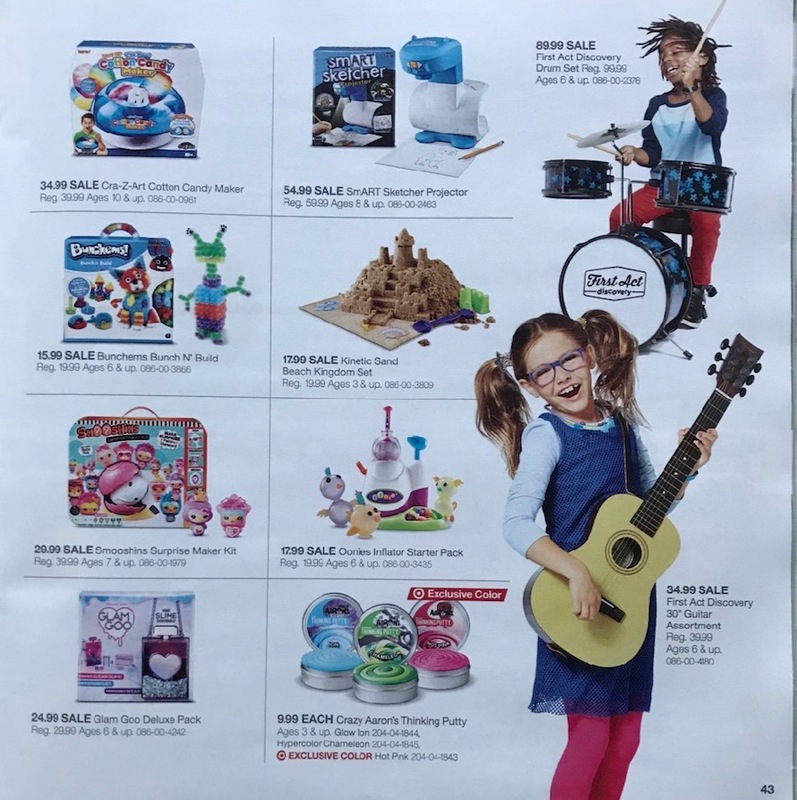 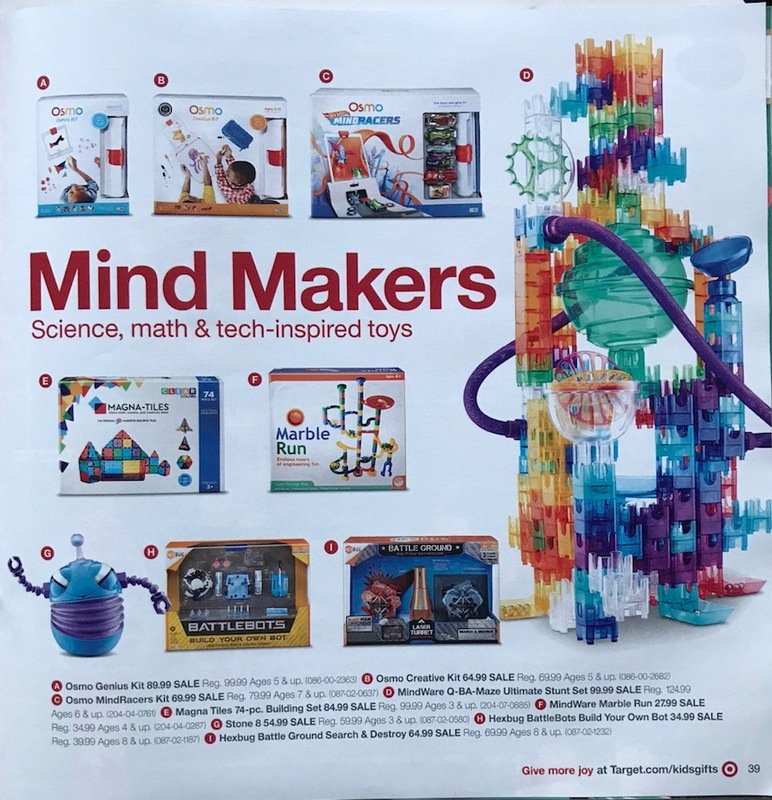 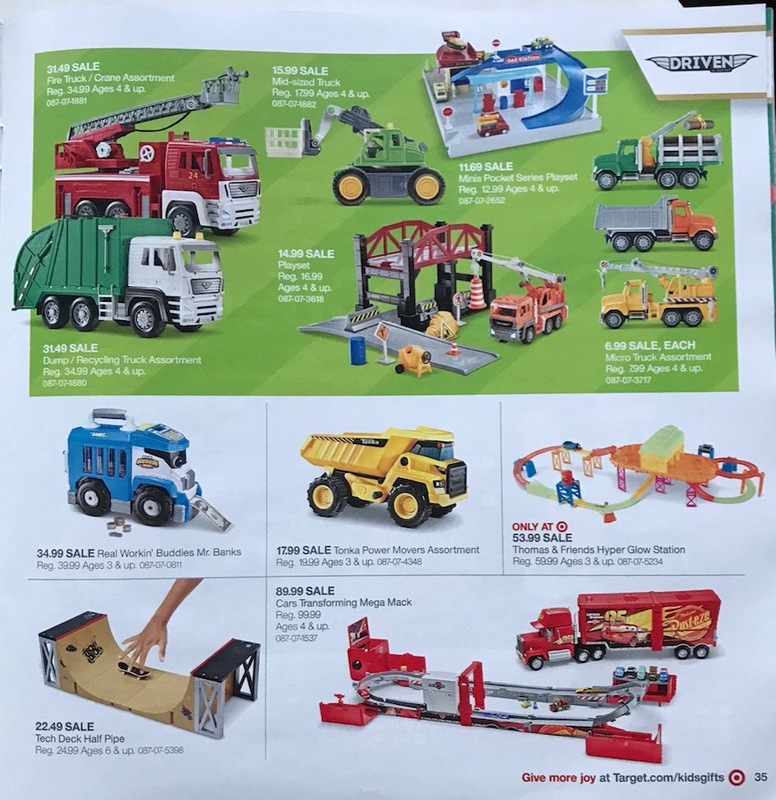 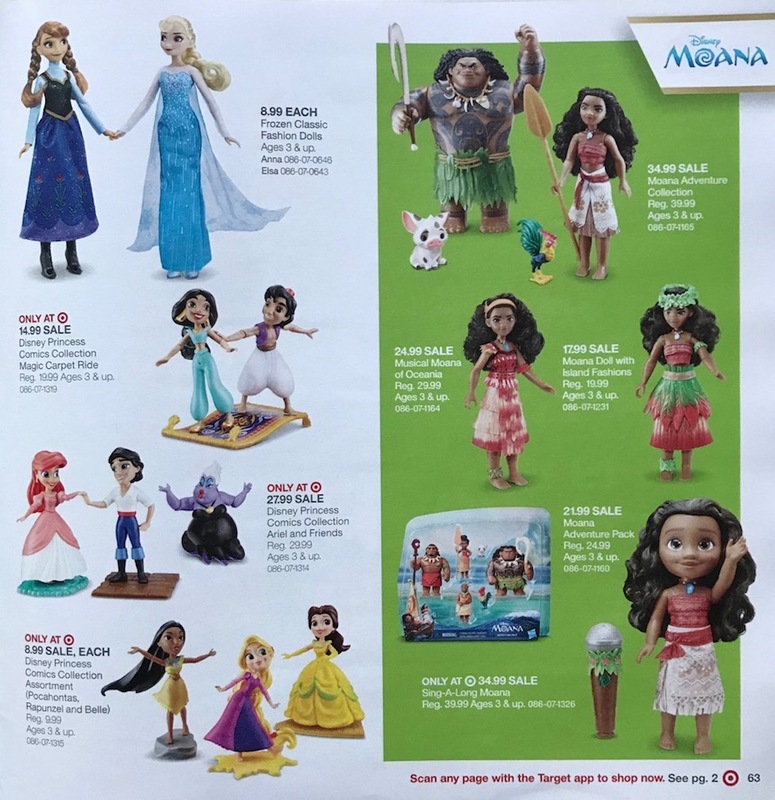 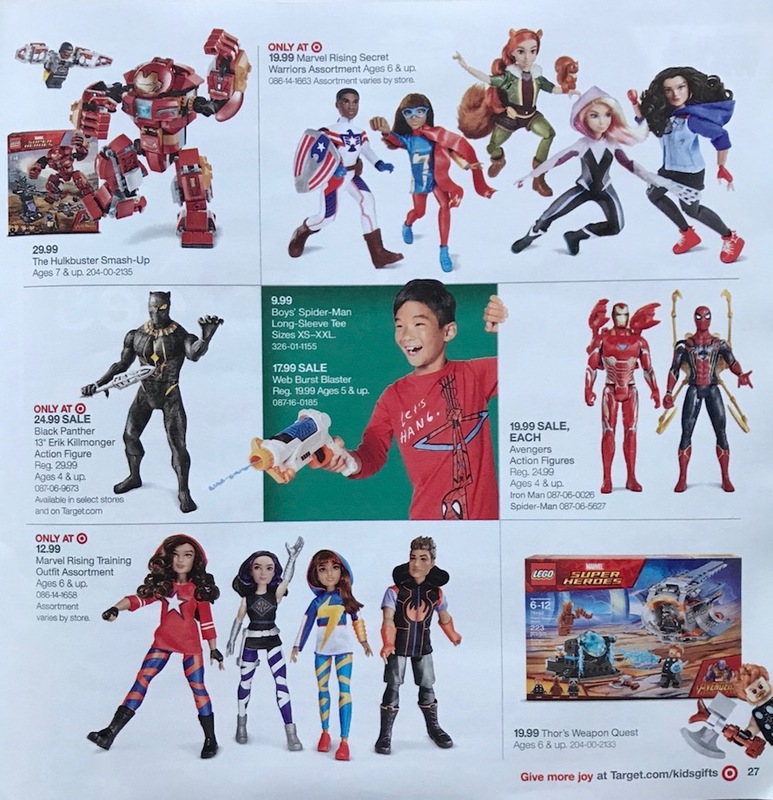 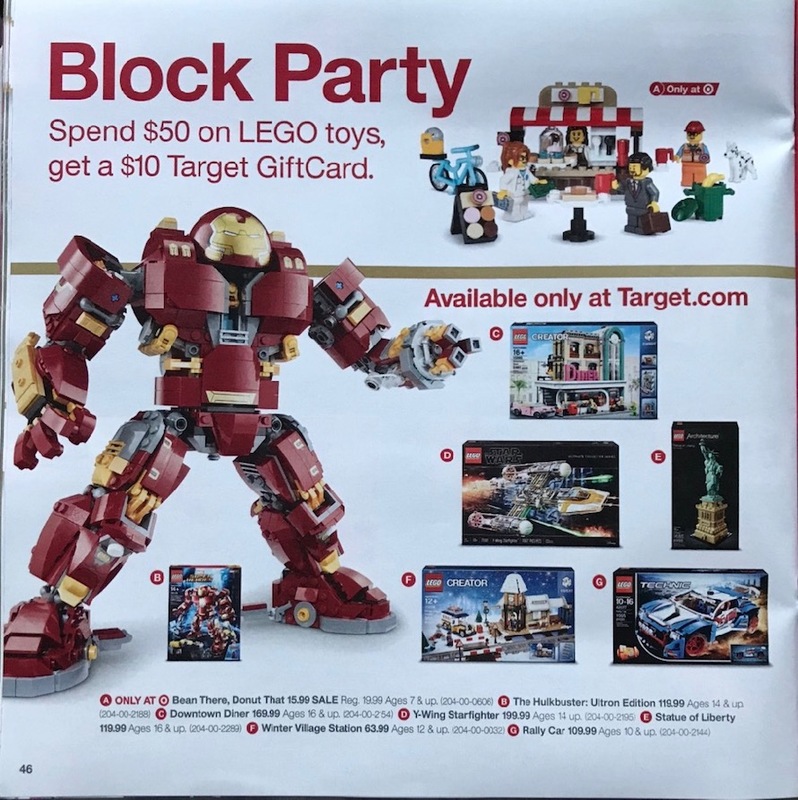 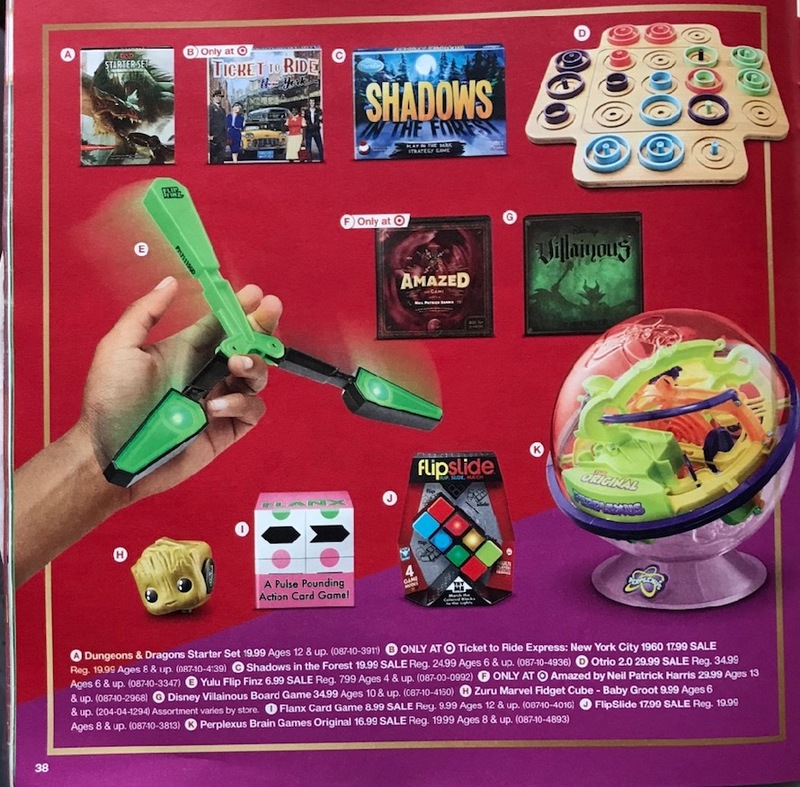 View Target Toy Book 2018 ad, deals available October 28 through November 21. 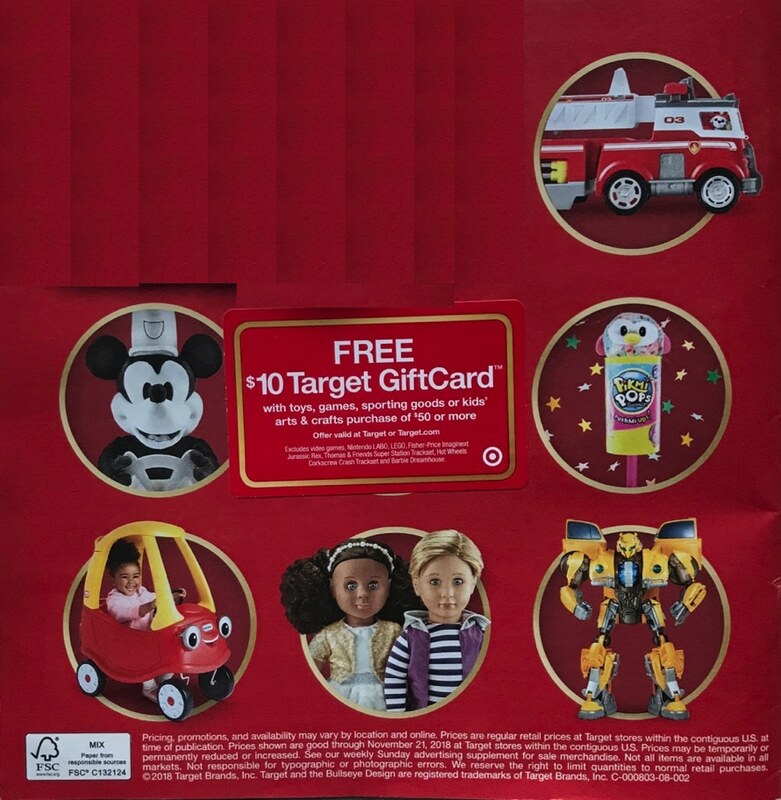 Save with this year Target Holiday Toy Spectacular Book deals on Barbie Dreamhouse Playset; Fingerlings Hugs Bella Friendly Interactive Plush Monkey; Tic Tac Tongue Game; MiBro R/C Robot, FurReal Rock-a-Too Show Bird; Crate Creatures Surprise Blowout; Our Generation Awesome Academy School Room for 18-in Dolls; Lego Unikitty Unikingdom Fairground Fun; Fisher-Price Imaginext Jurassic World Jurassic Rex; Nella the Princess Knight Doll; Baby Alive Sweet Spoonfuls Baby Doll Girl and so many other popular toys. 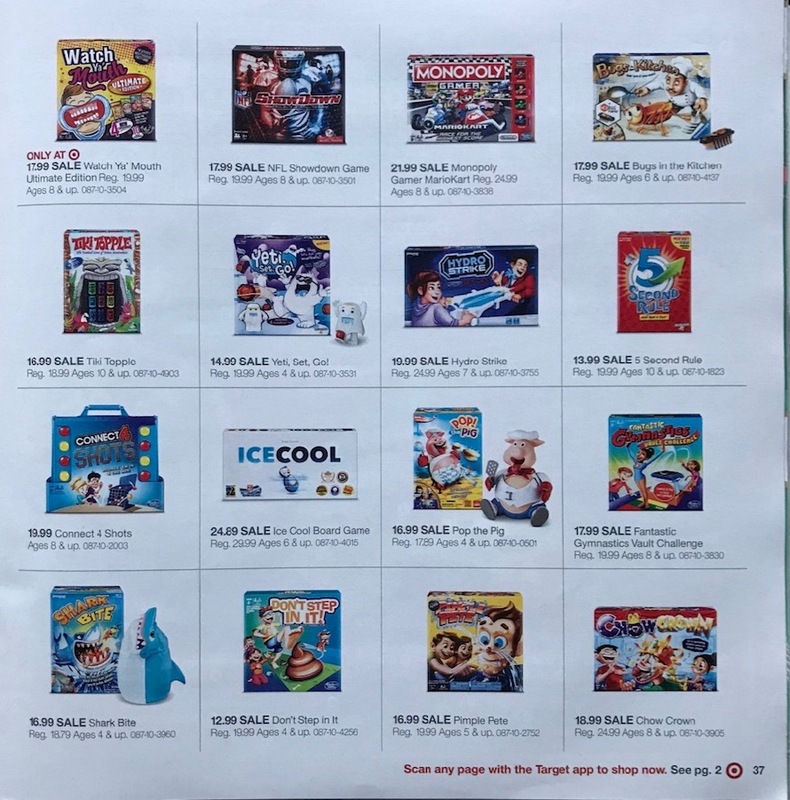 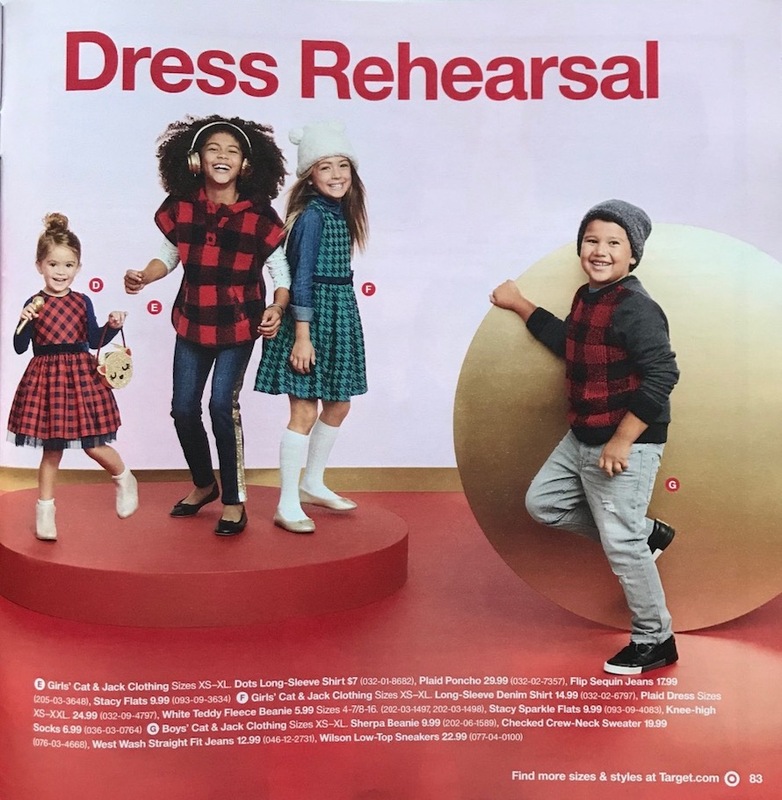 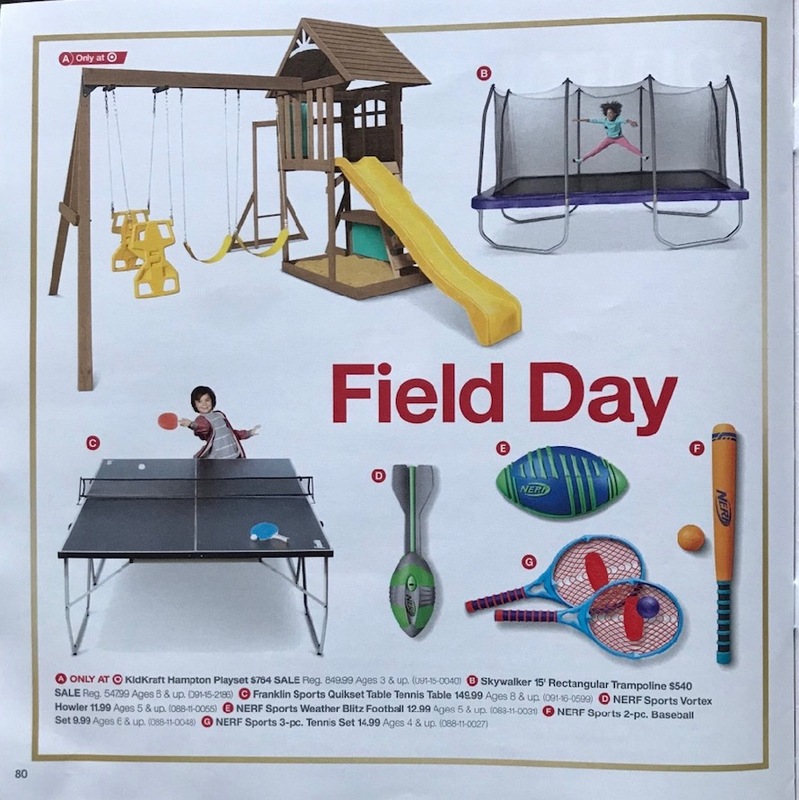 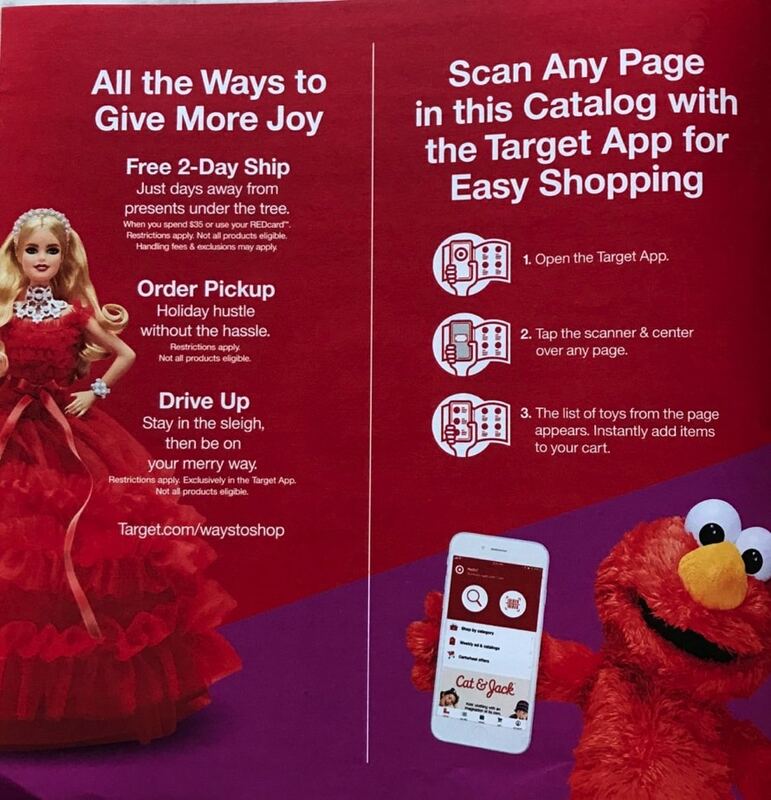 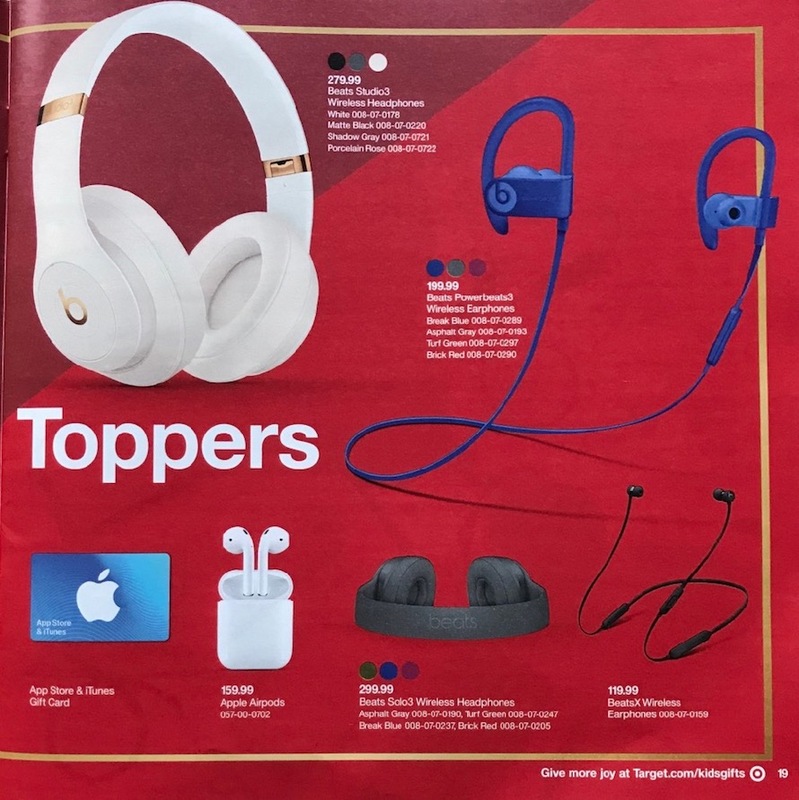 Don’t forget to check this year Target Toys Book deals before heading out to shop.